It is commonly believed that the Catholic Church persecuted Galileo for abandoning the geocentric (earth-at-the-center) view of the solar system for the heliocentric (sun-at-the-center) view. The Galileo case, for many anti-Catholics, is thought to prove that the Church abhors science, refuses to abandon outdated teachings, and is not infallible. For Catholics, the episode is often an embarrassment. It shouldn’t be. This article provides a brief explanation of what really happened to Galileo. Anti-Catholics often cite the Galileo case as an example of the Church refusing to abandon outdated or incorrect teaching, and clinging to a "tradition." They fail to realize that the judges who presided over Galileo’s case were not the only people who held to a geocentric view of the universe. It was the received view among scientists at the time. In 1614, Galileo felt compelled to answer the charge that this "new science" was contrary to certain Scripture passages. His opponents pointed to Bible passages with statements like, "And the sun stood still, and the moon stayed..." (Josh. 10:13). This is not an isolated occurrence. Psalms 93 and 104 and Ecclesiastes 1:5 also speak of celestial motion and terrestrial stability. A literalistic reading of these passages would have to be abandoned if the heliocentric theory were adopted. Yet this should not have posed a problem. As Augustine put it, "One does not read in the Gospel that the Lord said: ‘I will send you the Paraclete who will teach you about the course of the sun and moon.’ For he willed to make them Christians, not mathematicians." Following Augustine’s example, Galileo urged caution in not interpreting these biblical statements too literally. At Galileo’s request, Cardinal Robert Bellarmine, a Jesuit—one of the most important Catholic theologians of the day—issued a certificate that, although it forbade Galileo to hold or defend the heliocentric theory, did not prevent him from conjecturing it. When Galileo met with the new pope, Urban VIII, in 1623, he received permission from his longtime friend to write a work on heliocentrism, but the new pontiff cautioned him not to advocate the new position, only to present arguments for and against it. When Galileo wrote the Dialogue Concerning the Two Chief World Systems, he used an argument the pope had offered, and placed it in the mouth of his character Simplicio. Galileo, perhaps inadvertently, made fun of the pope, a result that could only have disastrous consequences. Urban felt mocked and could not believe how his friend could disgrace him publicly. Galileo had mocked the very person he needed as a benefactor. He also alienated his long-time supporters, the Jesuits, with attacks on one of their astronomers. The result was the infamous trial, which is still heralded as the final separation of science and religion. Nicolini revealed the circumstances surrounding Galileo’s "imprisonment" when he reported to the Tuscan king: "The pope told me that he had shown Galileo a favor never accorded to another" (letter dated Feb. 13, 1633); " . . . he has a servant and every convenience" (letter, April 16); and "[i]n regard to the person of Galileo, he ought to be imprisoned for some time because he disobeyed the orders of 1616, but the pope says that after the publication of the sentence he will consider with me as to what can be done to afflict him as little as possible" (letter, June 18). As noted scientist and philosopher Alfred North Whitehead remarked, in an age that saw a large number of "witches" subjected to torture and execution by Protestants in New England, "the worst that happened to the men of science was that Galileo suffered an honorable detention and a mild reproof." Even so, the Catholic Church today acknowledges that Galileo’s condemnation was wrong. The Vatican has even issued two stamps of Galileo as an expression of regret for his mistreatment. Although three of the ten cardinals who judged Galileo refused to sign the verdict, his works were eventually condemned. Anti-Catholics often assert that his conviction and later rehabilitation somehow disproves the doctrine of papal infallibility, but this is not the case, for the pope never tried to make an infallible ruling concerning Galileo’s views. In Galileo’s case, the second and third conditions were not present, and possibly not even the first. Catholic theology has never claimed that a mere papal ratification of a tribunal decree is an exercise of infallibility. It is a straw man argument to represent the Catholic Church as having infallibly defined a scientific theory that turned out to be false. The strongest claim that can be made is that the Church of Galileo’s day issued a non-infallible disciplinary ruling concerning a scientist who was advocating a new and still-unproved theory and demanding that the Church change its understanding of Scripture to fit his. It is a good thing that the Church did not rush to embrace Galileo’s views, because it turned out that his ideas were not entirely correct, either. Galileo believed that the sun was not just the fixed center of the solar system but the fixed center of the universe. We now know that the sun is not the center of the universe and that it does move—it simply orbits the center of the galaxy rather than the earth. Had the Catholic Church rushed to endorse Galileo’s views—and there were many in the Church who were quite favorable to them—the Church would have embraced what modern science has disproved. Originally posted at Catholic.com. Used with permission. This is very thorough! I would also add that at the time of this trial, physics hadn't advanced far enough to explain how the earth could spin and orbit around the sun without everything flying off the earth. This doesn't come until Descartes and Newton. Galileo did come up with the explanation for this, not supported at the time by exact mathematical calculations (which weren't possible until Newton--Descartes didn't have the math either) but an explanation that turned out to be essentially correct. Basically he came up with the idea that is nowadays called "Galilean relativity", which says experiments on board a vehicle moving with uniform motion give the same results as those on board one at rest (the modern interpretation would be that "moving" and "at rest" aren't even meaningful except in relative terms). See for example Galileo's ship...of course rotation is not quite "uniform motion" in the sense that physicists would currently understand that (constant velocity, meaning constant speed on a straight-line path), but it's slow enough that it can be treated that way to a reasonable approximation, just like a ship at sea (or a car on flat ground) moving along a very large circular path at constant speed won't seem noticeably different to people on board than one moving along a straight path at constant speed. >> No, it cannot. It is General Relativity which is required to explain rotating frames, which always give us a speed of light greater than c.
For example, it is commonly misunderstood that the speed of light limitation means that the universe cannot be rotating around the earth under the mathematics of GR. This is false, of course. The speed of light can take on any numerical value whatsoever in the presence of gravitational or centrifugal forces. Since the equivalency of these forces is assumed in Relativity, it comes as as surprise to many to learn that the equations of General Relativity allow for a completely indifferent choice of a rotating Earth or a rotating universe. Under GR, there is no physical difference at all between the two conditions. "No, it cannot. It is General Relativity which is required to explain rotating frames, which always give us a speed of light greater than c."
My comments had nothing to do with the speed of light, nor is this relevant to anything related to the article's comments about Galileo. Classical mechanics can handle rotating frames just fine (we learned about them in my intro classical mechanics class in college, they work just like inertial frames with added "fictitious forces" such as the centrifugal and coriolis forces), though of course any classical analysis becomes inaccurate if you are dealing with relative speeds that are a large fraction of light speed (but the speeds involved in analyzing the motion of objects on the rotating Earth are a negligibly small fraction of light speed, so relativity is unnecessary). And in classical mechanics, it is true that the fictitious forces felt as a consequence of rotation are quite small, so there is little difference between what classical mechanics would predict for an observer on the rotating Earth (using an inertial frame where the center of the Earth is at rest, say) and what it would predict for an observer moving at the same constant velocity in a uniform gravitational field with the same strength as at the Earth's surface--hence my comment "the rotation of the Earth is slow enough that it can be treated that way to a reasonable approximation". If you want to talk about relativity, it's not true that you need general relativity to handle all types of non-inertial frames, only non-inertial ones where gravity is significant so spacetime is curved (you can define non-inertial frames for accelerating observers in the "flat" spacetime of special relativity, an example would be the system called "Rindler coordinates"). The coordinate speed of light can indeed be something other than c in a non-inertial frame; in fact, since you have total freedom in defining a non-inertial coordinate system any way you want in general relativity (which is why you are free to make "weird" choices like one where the Earth is at rest while the Sun rotates around it), the coordinate speed of a light beam can be anything you want. However, general relativity also includes the notion of "local" inertial frames in the neighborhoods of free-falling observers, because of the "equivalence principle" which says that in the limit as a freefalling observer does experiments in an arbitrarily small patch of spacetime around them, the results of these local experiments should approach perfect agreement with special relativity. So it is still true in general relatiivity that the speed of any light ray as measured in the locally inertial frame of a free-falling observer passing next to the beam would always be c.
This article seems to lose site of everything that is actually important (quite deliberately I'd guess). Here is the problem, the church REALLY did strongly deny heliocentrism. So, why did the church deny heliocentrism? Because the universe described in the Bible is undeniably (though I'm sure someone will immediately attempt to deny this) geocentric. Is it reasonable to believe the Creator of the Universe would get the story about his "Life's Work" completely wrong in his own revelation? God wasn't revealing science through the pages of Scripture. The Bible lays out salvation history. It is not a science book. OMG! God wasn't revealing science thru the pages of Scripture. The bible lays out salvation history! How you will twist and turn to maintain your supernatural beliefs. So how can one believe in a god of salvation when the writings about (supposedly by that god) are so wrong about everything? If someone handed you a book and said, "This is the way to salvation" and that book was full of supernatural nonsense would you believe that was your way to salvation? I don't think so! lozen, I am not sure where to start. Are you claiming that the Church teaches that the Bible is a science text? That the truths of science are to be found within? Because that's not a claim that the Church makes, so you might be arguing a straw man here. Again, I am not sure exactly what your point of argument is. If you could clarify? Leila, of course the church does not teach the bible is a science text, duh. It knows better than to do that! But how could a god who knows everything have gotten it all so wrong in a book supposedly inspired by him to save us? The sun revolves around the earth? A bat is a bird? Jonah spend time in the belly of the whale without being digested? Jesus was born of a virgin? Jesus rose from the dead? If I just say I believe a Jewish carpenter/rabbi who lived (?) 2,000 years ago, can save me from my sins by dying a humiliating, horrible, painful death nailed to a cross (and all this was directed by his "loving" father) then I can go to heaven when I die? lozen, I am still not sure that you understand the differences between Protestantism and Catholicism. Your last paragraph about "If I just say I believe…" is not reflective of Catholic doctrine, it's reflective of evangelical or fundamentalist Protestantism. I remember that a rule on the site is to make sure that you are not arguing a straw man, and it sounds like you are not well-versed in Catholic teaching. I don't mind defending and debating Catholic doctrine, but I don't want to spend time debating Protestantism. Could you tell me what sources you have read or used to get to your understanding of Catholicism and/or Bible exegesis? Thanks. And if you could omit the "OMG"s, and the "duh"s, that would be great, and it would also be following the rules of commenting on this site (be respectful, no snarkiness, etc.). lozen, thanks for stopping by and commenting! Just a quick note that we're aiming for charity in these comment boxes, per our Commenting Policy, and your sarcasm is hardly needed. Simply make your argument without it and the conversation will be much more fruitful. If it happens again we'll have to edit or remove your comment. Thanks! (1) The sun is the center of the world and wholly immovable from its place. Assessment: This proposition was unanimously declared "foolish and absurd philosophically and formally heretical inasmuch as it expressly contradicts the doctrine of the Holy Scripture in many passages, both in their literal meaning and according to the general interpretation of the Holy Fathers and the doctors of theology." (2) The earth is not the center of the world, nor immovable, but it moves as a whole, also with diurnal motion. Assessment: This proposition was unanimously declared "deserving of the like censure in philosophy, and as regards theological truth, to be at least errouneous in faith." I would also point out that the article ends with a very good point: that the Church, in condemning the immobility of the sun as "formally heretical," based SOLELY on Scripture, she was several hundred years ahead of the scientists! Why is it NOT a science book? It purportedly describes the creation of the universe and ourselves. Why should that NOT be authoritative? Why should God make things so very hard on you to convince an ordinarily skeptical person that merely wants to know why he should believe it? Why should I need to be completely ignorant of the real universe for the Bible to be better than "laughable"? Scott, why is a book of poems not a science book? Is it possible to learn something about ourselves the universe from a book of poems, even though it is not science? Why, or why not? Scott, thanks for stopping by and commenting! Can you please share where in the Bible it describes the univers as "undeniably geocentric"? I'm not aware of any Biblical book that is even interested in this question, much less makes a declarative statement about it. I am inclined to agree with Scott's comment. I'm not sure if he is atheist or not, but is it a reasonable demand to make that an atheist be familiar enough with the Bible to quote it? Secondly, who exactly is meant by "anti-Catholics"? On a site that advertises dialogue between Catholics and Atheists, I suggest this is a poor choice of words. He makes a claim very strongly, and there needs to be a citation to back that up. I am always astonished by general lack of knowledge about the content of the Bible by the people that are actually supporting it. Scott, when you make a claim as audacious as 'the Bible describes the universe as "undeniably geocentric"', it's not astonishing for Catholics to request the basis of such claims. Since it is spelled out in THEIR HOLY BOOK, it is pretty astonishing that they don't already know. There is an essay on the web site of the Vatican Observatory titled "The Galileo Affair," and it is interesting to compare it with this post by Catholic Answers. On the question of Copernicanism, it says: "Now in 1616, just as the controversy about a sun-centered Copernican universe was heating up, the church's holy office declared that Copernicanism was formally heretical because it contradicted many passages in the bible (e.g. Joshua 10:11-13, in which the sun stops moving in the sky). Galileo had already written several essays on the interpretation of the bible in which he essentially said that the bible was written to teach us how to go to heaven and not how the heavens ago [sic]. In these documents he essentially anticipated by about 400 years what the Catholic Church would teach about the interpretation of the bible, but he did so privately." The essay also notes, "The Church officially apologized to Galileo in 2000." Some thing can only be a heresy, if it's the denial of an officially defined doctrine, that must be held. This was not the case here, even if certain Catholic theologians held this view. • The proposition that the Sun is the center of the world and does not move from its place is absurd and false philosophically and formally heretical, because it is expressly contrary to Holy Scripture. • The proposition that the Earth is not the center of the world and immovable but that it moves, and also with a diurnal motion, is equally absurd and false philosophically and theologically considered at least erroneous in faith. I don't think it is any more reason to dismiss them as "certain Catholic theologians" as it would be to refer to then Cardinal Ratzinger from 1981 to 2005, when he was Prefect of the Congregation for the Doctrine of the Faith, as "a certain Catholic theologian." Hi, David--this is off the top of my head, but my recollection is that the Holy Office went to the very brink of stating Galileo had committed heresy, but ultimately stated instead that he was "vehemently suspected of heresy". Not sure if this info helps, but it's an interesting nugget that seems to indicate the Holy Office did not officially label his views as "heresy" but only went so far as to say that heresy was "vehemently suspected." Does this sound accurate to you, or might I be misremembering? I would suggest you start by simply googling "biblical cosmology" and look at the images that come back. There is a reason they all look like flat earths with a dome of a sky over them. If you read the Bible cover to cover and make note of every reference to the shape of the universe and ask yourself, is this reference compatible with goofy "flat earth picture" found above, or is it compatible with universe we actually live in, you will certainly find some that are compatible with either, but when it is compatible with only one, it is always the "flat earth" model. There are several "four corners" of the Earth references, we'll skip those. And this is just barely scratching the surface. "I wasn't aware the Bible ever focused on..." Of course you weren't.. The embarrassing bits are ignored with studied practice. In the Scrolls you will find the (no longer canonical) Book of Enoch. Enoch spells out Biblical Cosmology very directly. And here you will find see where all the flat-earth language comes from that remains in the Bible to this day. Yes, I know... it's not part of the Bible today... but it is important if you wish to understand the meaning and intent of what remains. Scott, thanks for the comment. A quick note before I reply: per our Comment Policy, we're shooting for a basic level of charity and respect. Suggesting that your opponent's views are "goofy" or that they intentionally ignore certain parts of the Bible are unneeded (that's an "ad hominem" fallacy). To help us all pursue the Truth in charity, simply make your argument without belittling other people. Consider this your warning; if it happens again we'll have to edit or delete the comment. Thanks for citing the biblical verses you suppose describe an "undeniably geocentric" universe. The glaring problem, of course, is that *none* of these verses claim to describe the shape of the earth or the center of the cosmos. Instead, you've interpreted them in an overly literal way, not accounting for or differentiating between the many styles, genres, and communicative expressions found in the Bible. "There are heavenly bodies and earthly bodies, but the glory of the heavenly is of one kind, and the glory of the earthly is of another. There is one glory of the sun, and another glory of the moon, and another glory of the stars; for star differs from star in glory." Clearly, Paul is concerned here with the character of God's nature, not with cosmology. He's using an analogy that isn't dependent on literal, scientific veracity since that's not what he's concerned about. In sum ,the interpretive approach you've taken to these verses is extremely literalistic. It's little different than how Fundamentalists read the Bible, squeezing out a literal meaning where none was intended, and refusing to read verses in their literary context. This is not how Catholics understand the Bible, however. Catholics know that the Bible is not a scientific textbook, nor does it aim to promote scientific theories about the cosmos. You're unfortunately reading these answers into the text. "Catholics know that the Bible is not a scientific textbook, nor does it aim to promote scientific theories about the cosmos. You're unfortunately reading these answers into the text." For greater than 1500 years, Catholics didn't NOT know that. They "discovered" that after their Bible was contradicted over and over again. Read Mark Neal's post above. It was the official position of the church that heliocentrism was heretical. This was so because the is the obvious meaning of the Bible. And skipping back up to "Suggesting that your opponent's views are "goofy" or that they intentionally ignore certain parts of the Bible are unneeded (that's an "ad hominem" fallacy). " Let's seem my quote where I used "goofy." "is this reference compatible with goofy "flat earth picture" found above" I'm sorry, but to suggest I was calling my opponents views rather than the images returned by google as "goofy" is just dishonest. And no, that was not an ad hominem in ANY sense. 2) On the negative merits of the arguer. You can ignore Charlie's arguments because he's a fool. << ad hominem. And again, let's repeat my quote you are addressing. Hmmm, I was agree and commenting and explaining. This is utterly not an ad hominem. "It was the official position of the church that heliocentrism was heretical. This was so because the is the obvious meaning of the Bible." Just to be clear: the Church's position was (and remains) that the sun being the immovable, fixed center of the universe is heretical. Galileo's prosecutors were very specific in what they were condemning: not heliocentrism, but "the proposition that the Sun is the center of the world and does not move from its place." He didn't call anyone "goofy", He said the flat earth theory is "goofy". Is there anybody here who believes the earth is flat? I could very well be wrong but it would seem to me that the whole reason Galileo was tried by the Inquisition is because many people in the church did believe that the Bible describes an immobile, flat earth. I believe it is exactly because of Galileo that all believers now are forced to choose between interpreting things in the Bible as metaphor or analogy or risk being ridiculed. I could be wrong though. I'm wondering if in regards to a fixed earth there is any evidence whatsoever of a member of the clergy questioning a literal interpretation of scripture before Copernicus and Galileo? It just seems strange that now everyone regards it as analogy or metaphor when for 1600 years they didn't, and when it was forced on the Church, Galileo was in turn forced to stop believing it (not sure how that works) and placed under house arrest. I'm talking about passages in the bible that everyone took to be literally true that had to be reinterpreted as metaphor after Science came along. I will give you three examples, creation/evolution, tower of babel/modern linguistics, and of course fixed earth/orbiting earth. All three of these are ideas it was perfectly acceptable to believe the biblical accounts until Science showed they can only be considered metaphor or myth. De Lubac, at length, describes the four senses of Scripture, which was clearly taught by Origen in the fourth century. This was the standard position of understanding the Bible until Protestant literalism. The Catholic Church has not followed this. We must understand why the Church denied heliocentrism: there just wasn't sufficient evidence for it at the time. The greatest criticism of the heliocentric model was that if it were true, then the stars ought to show a parallax which wasn't definitively proven until 1838 by Friedrich Bessel. Galileo could not account for this lack, and in his search for evidence that the earth moved, even proposed that the daily motion of the tides was evidence of earthly motion. passages of Scripture which seemed contrary, and we would rather have to say that we did not understand them than to say that something was false which has been demonstrated." Be careful to note that he says that it's not an impossibility for the earth to move around the sun, but that, if it is in fact true, then the Church should re-interpret scripture rather than call it all false. He directly follows that sentence by saying: "But I do not believe that there is any such demonstration; none has been shown to me," which mirrors the science of the day, in which Copernican astronomers could not prove that their system was anything more than a mathematical model. No, we must understand why the CREATOR OF THE UNIVERSE didn't make the actual shape of our universe CLEAR in his revealed word. It wasn't relevant to the spirituality of the people for whom it was meant. Furthermore, God didn't dictate scripture. People were inspired, but then wrote according to their own style, influenced by their culture, upbringing, etc. So if the writer of Genesis saw the sun rising and setting, a geocentric view of the universe would be how he wrote about God creating the world, but the important thing is that God created the world. God isn't your science teacher. First "wasn't relevant" is a cop out of grand proportions... why tell them the history of the universe at all if it wasn't important? It's not like he details were merely left out, but an entire alternate reality was described. But let's address this "Furthermore, God didn't dictate scripture," because it is a shameful lie to come from a Christian of any flavor. And it completely contradicts the official position of your own Church. "CHRISTIANS THROUGH THE centuries have viewed the scriptures as a unique book (or collection of books). They have believed that the scriptures come from God in a way that no other book has. They have said that God is the author of scripture and that scripture is his word which he has spoken through human beings." And how many times does the Bible contain the phrase "and God said" (plus countless variations of same meaning)? "and God said" sure sounds like dictation to me. I've never heard of RC.net, but the Catechism states, 106 God inspired the human authors of the sacred books. "To compose the sacred books, God chose certain men who, all the while he employed them in this task, made full use of their own faculties and powers so that, though he acted in them and by them, it was as true authors that they consigned to writing whatever he wanted written, and no more." They made use of their own faculties, and the bible has a primary emphasis on salvation over scientific accuracy, because that's what it's for. "consigned to writing whatever he wanted written, and no more"
"he" is God. What HE wanted written, an nothing else. Inspired? sure.... But more, this is dictation by any reasonable definition. Your own words confirm my position. "What he wanted written, and nothing more"
Exactly. So He wanted written an account of Creation that was directed towards salvation rather than a strict scientific explanation. Which is what I've been saying. First, you try to deny that means "dictated" and then turn around and assume (on no evidence what so ever) what the INTENT of that dictation would be. Scott, first of all Catholics don't believe God "dictated" the Bible. You're making the mistake of interpretating the Bible as Muslims interpret the Koran, which they believe was directly dictated to Muhammad. The Bible is God's word written in the language of men, which means it necessarily includes literary and stylistic nuance--poetry, literature, song, allegory, metaphor, mythical language, etc. Second, while it's true everything in the Bible is what God *wanted* to be written, that doesn't mean every verse is meant to be taken literally, nor that any verse is meant to make a scientific judgment. That simply doesn't follow--it's a non sequitur. "Scott, first of all Catholics don't believe God "dictated" the Bible. " "it was as true authors that they consigned to writing whatever he wanted written, and no more"
Maybe Catholics don't believe it, but per the Church, they should. Many Catholics don't fully buy the dogma of transubstantiation, but that in no way changes the official teaching of the Church on the subject. Scott, do you see the possibility that a message can be willed but not dictated word-for-word? Also, no Catholic doesn't fully buy the dogma of transubstantiation, because belief in the Real Presence is a requirement to be in communion with the Catholic Church. If you don't believe it, you might as well say "Jesus was just a man, but I'm still Catholic." It's a nonsensical and definitionally false statement. I don't wish to belittle. If indeed the Bible is God's word, why didn't He create it as a CD or DVD in all languages? Everything written by man has an agenda! "and the bible has a primary emphasis on salvation over scientific accuracy, because that's what it's for." This is a cop out interpretation. How could our salvation not be better served by telling a story that is compatible with reality? Not that it matters at all, the entire Torah, aka Books of Moses, aka the first five books of the Bible, are now known to be fictional history almost entirely. A few decades ago, Israel trained up an army of archeologists to go out and prove their OT history. Not only did they fail to find evidence of the Bible stories, the found another history entirely. We now have a very well evidenced understanding of the origins of the Jewish people in Palestine. Exodus and Moses, the wandering in the Sinai, and the military conquest of Joshua are all fiction. Not only that, this has been common academic knowledge for over a decade. If you study history or archeology in any major university, you will not be taught that the Exodus is history. Anyone that's read the Bible will know that THE most crucial story the whole thing is Moses and the Exodus. It is during this time the primary revelation of the God of Abraham occurs. "The Law" is received during this time. Jesus is both alleged to be the Son of this God and seems to have no doubts about the authenticity of these stories. Let's be perfectly clear on this one... You cannot possibly receive a genuine revelation during a period of fictional history. The claim that it is academic common knowledge that the Exodus is in no way history is superbly easy for anyone here to check for themselves. Scott, you say "Where does the Bible say that? (oh, it doesn't!)" Where before you sounded like a Muslim in suggesting that God dictated the Bible, now you're starting to sound like an Evangelical Protestant! Btu Catholics don't subscribe to the Protestant idea of "sola Scriptura," or the idea that the Bible is clear and self-interpreting. It's the Church who has ultimate interpretive authority and has clearly explained that the Bible's primary emphasis is salvation. Go on and keep ignoring 1500 years of history of Church doctrine. Keep ignoring how and why it's changed. And keep ignoring what the Bible actually says and if that more "liberal view" is even compatible with the text. And keep pretending the Catechism quoted to me by Epicus doesn't support me. This simply does not qualify as doctrine. The 21 ecumenical councils do, and they make no mention of this. Archaeology is proving the Bible everyday. There can, of course, be no assertion of the Holy Spirit in Scripture which is in any way inerrant. Therefore, whenever the Bible touches on matters pertaining to science, it is exactly as inerrant as when it touches on Faith or morals. The recent, rapidly-expanding and compelling observational evidence of a non-Copernican, Earth-oriented structure on the universe's largest scales ought to make Catholics overjoyed, but instead it outrages them. I suspect it is because they have been indoctrinated for several generations now in the utter fallacy that Scripture contains errors pertaining to matters of science. "The recent, rapidly-expanding and compelling observational evidence of a non-Copernican, Earth-oriented structure on the universe's largest scales"
What observational evidence do you think is "Earth-oriented"? There is some evidence of interesting departures from homogeneity on very large scales (like what the cosmologists have humorously called the "Axis of Evil"), but I don't think they pick out any special "central" point, let along picking out a center with such precision that we could say they are centered on the Earth rather than the Sun (or even the Earth rather than the Milky Way, or the Local Group of galaxies). "What observational evidence do you think is "Earth-oriented"? "The study of alignments in the low-l CMB has found a number of peculiarities. We have shown that the alignment of the quadrupole and octopole planes is inconsistent with Gaussian, statistically isotropic skies at least at the 99% confidence level. Further a number of (possibly related) alignments occur at 95% confidence levels or greater. Put together these provide a strong indication that the full sky CMB WMAP maps are inconsistent with the standard cosmological model at large angles. Even more peculiar is the alignment of the quadrupole and octopole with solar system features (the ecliptic plane and the dipole)." "In this article I study the distribution of spiral galaxies in the Sloan Digital Sky Survey (SDSS) to investigate whether the universe has an overall handedness. A preference for spiral galaxies in one sector of the sky to be left-handed or right-handed spirals would indicate a preferred handedness. The SDSS data show a strong signal for such an asymmetry with a probability of occurring by chance ~3.0 x 10-4. The asymmetry axis is at (RA,Dec) ~(202d,25d) with an uncertainty ~15d. The axis appears to be correlated with that of the quadrupole and octopole moments in the WMAP microwave sky survey, an unlikely alignment that has been dubbed "the axis of evil". Our Galaxy is aligned with its spin axis within 8.4d of this spiral axis." Recently, the new release of the Planck observations on the CMB temperature anisotropy confirmed the alignment of the CMB quadrupole and octupole. And this particular direction is nearly aligned with CMB kinematic dipole direction . At the same time, the discontinuous distribution of power in the hemispheres on the sky was also been confirmed. All these show that we have the evidence for a break in isotropy. In order to solve these problems, a phenomenological dipole modulation may be needed [59, 60]..... all these directional anomalies, as well as the alignment problems of the cosmic acceleration anisotropy discussed in this paper, the parity asymmetry of CMB power spectrum , the large-scale velocity flows  and the large scale alignment in the QSO optical polarization data  are connected with the CMB kinematic dipole and/or the ecliptic plane"
"Here we report even larger anisotropies in the sky distributions of powerful extended quasars and some other sub-classes of radio galaxies in the 3CRR catalogue, one of the oldest and most intensively studies sample of strong radio sources5,6,7. The anisotropies lie about a plane passing through the two equinoxes and the north celestial pole (NCP). We can rule out at a 99.995% confidence level the hypothesis that these asymmetries are merely due to statistical fluctuations.....Two pertinent questions then arise. First, why should there be such large anisotropies present in the sky distribution of some of the most distant discrete sources implying inhomogeneities in the universe at very large scales (covering a fraction of the universe)? What is intriguing even further is why such anisotropies should lie about a great circle decided purely by the orientation of earth’s rotation axis and/or the axis of its revolution around the sun? It looks as if these axes have a preferential placement in the larger scheme of things, implying an apparent breakdown of the Copernican principle or its more generalization, cosmological principle, upon which all modern cosmological theories are based upon. "Copernican principle states that earth does not have any eminent or privileged position in the universe and therefore an observer’s choice of origin and/or orientation of his/her coordinate system should have no bearing on the appearance of the distant universe. Its natural generalization is the cosmological principle that the universe on a sufficiently large scale should appear homogeneous and isotropic, with no preferred directions, to all observers. However to us on earth the universe does show heterogeneous structures up to the scale of superclusters of galaxies and somewhat beyond, but it is assumed that it will all appear homogeneous and isotropic when observed on still larger scales, perhaps beyond a couple of hundreds of megaparsecs. Radio galaxies and quasars, the most distant dis- crete objects (at distances of many gigaparsecs or further) seen in the universe should trace the distribution of matter in the universe at that large scale and should therefore appear isotropically distributed from any vantage point in the universe including that on earth. Centrality involves perimeter, and it is argued that we do not know this by observation, if the universe is expanding. But the preferred directionality of 1, 2, and 5 above are not just any old direction- they point at us. #'s 3 and 5 are in fact oriented as circular distribution around Earth at the center, and considering the great age attributed to quasars, this is a truly shocking observation from within the assumptions of the Copernican Principle. It is actually much more shocking than the news story suggests. A very crucial term concerning this so-called "void cosmology" is missing from the news report, which is present in the abstract of the published paper by Timothy Clifton, the Oxford University researcher quoted in the above link. the supernovae observations could be accounted for without the addition of dark energy." Take it up with him if you have issue. "Any scientific hypothesis on the origin of the world, such as the hypothesis of a primitive atom from which derived the whole of the physical universe, leaves open the problem concerning the universe's beginning. Science cannot of itself solve this question: there is needed that human knowledge that rises above physics and astrophysics and which is called metaphysics; there is needed above all the knowledge that comes from God's revelation." Where is touches on science (Revealed important information that illuminates our reasoning) it must be true. "there just wasn't sufficient evidence for it at the time"
They had the "WORD OF GOD"!?!?!? Scott, I think that the Catechism passage quoted by Epicus is more nuanced than your interpretation. When it says that the inspired authors "consigned to writing whatever [God] wanted written, and no more", it also states that this was accomplished through the "full use of [the authors'] own faculties and powers." It does not state that God expanded the faculties of the inspired authors to the point of omniscience. Instead, it states that God made "full use" of their faculties; imparting to them what they *could* know and what they *could* understand. God's revelation simply did not require a working knowledge of heliocentrism. In addition to what David already said, if you believe the Bible has the answers to everyone's questions, you are going to be thoroughly disappointed. As the article states, Galileo was not only wrong in his conclusions, he had no proof or demonstration of them either. The Church asked him to provided proof before the theologians of the day were willing to reinterpret scripture. Anyone should be able to at least appreciate that much. Science isn't supposed to declare things true and expect people to rethink long held conclusions without proof, right? Galileo was, for his time, very much right in his scientific conclusions, and the Holy Office was wrong. One might argue that Newton was "wrong" about gravity in the light of Einstein's Theory of General Relativity, but that would be as great an injustice to Newton as claiming Galileo was wrong. So many here seem to be ignoring the fact that in 1992, Pope John Paul II described the Galileo affair as a "tragic mutual incomprehension" and said "this sad misunderstanding now belongs to the past." He also apologized for the treatment of Galileo in 2000. Galileo is not acknowledged as one of the greatest scientists of all times (in fact, one of the greatest minds of all times) because he came up with theories he had no proof for that by chance later turned out to be true. On the science, Galileo was right and the Holy Office was wrong. It is foolish to look back from the perspective of the 21st century and say they were both partly right and partly wrong. From a scientific perspective, Galileo was right and the Church was wrong. David, Galileo wasn't right though. He was a mathematician with a proposed model to explain observed movement, and his Treatise on the Tides was wrong. He thought the Earth rotated faster and slower and the ocean sloshed because of it, like a barge. He had doubts about proving his theory and he admitted it. He got ahead of himself and tried to push his science into theology without proof. Also, don't forget, the Church never asked Copernicus to stop studying his theory. The difference is, he studied it as a possible model to explain observations. He did not push it as true without proof. Continue reading the document we both cited and you find the following: "Thanks to his intuition as a brilliant physicist and by relying on different arguments, Galileo, who practically invented the experimental method, understood why only the sun could function as the centre of the world, as it was then known, that is to say, as a planetary system. The error of the theologians of the time, when they maintained the centrality of the earth, was to think that our understanding of the physical world's structure was, in some way, imposed by the literal sense of Sacred Scripture." If you do not read that as a clear case of the pope saying Galileo was right and the theologians were wrong, I don't know that there is anything else that could convince you. That Galileo's theory of the tides was wrong no more makes him wrong about the earth revolving around the sun than Einstein's many mistakes invalidate the Theory of Relativity. Galileo did *not* try to "push his science into theology." It was theology that tried to use scripture to determine scientific truth—what Pope John Paul II describes as "the error of the theologians of the time." Before tangents, I just want to stick with what I said. Do you understand that Galileo had no proof, and that the Inquisitor's were asking for it? Yes or no? Do you understand that Galileo pressed onward *theologically*? Yes or no? Galileo wanted scripture to be reinterpreted. Do you understand those distinctions? Have you read his actual writings and arguments? And those returned by the Inquisitors? Because I have, not all, but a lot. I can get you quotes later if you want. Also, how do you explain why Copernicus was not prevented for studying heliocentrism? He published his work 72 years before Galileo was warned. In a nutshell, the Catholic Church did not oppose heliocentrism from the very beginning. Within Christianity, the first opposition was Protestant. However, by the early 17th century, strong opposition had developed within Catholicism as well, and Copernicus's "De Revolutionibus" and all books advocating heliocentrism were banned in 1616 and remained banned by the Catholic Church for the next 200 years. "Galileo did *not* try to 'push his science into theology.'" Can you cite where you got that from? It is Galileo's view of the relevance of the Bible to scientific matters that we hold to be true today. Galileo maintained that the Bible was not intended to instruct us regarding matters such as the motion of the earth and the sun. Galileo was right not only about heliocentrism, but also about the misuse of the Bible as a science textbook. Clearly there has been a change at a very deep level between the Catholic Church of five hundred years ago, which did not hesitate to wade into the scientific arena when science apparently conflicted with the Bible, and the Church of today. It's a change that's worth discussing, particularly when so many Catholic bloggers readily attack "bibliolatry". "From the beginning of the Age of Enlightenment down to our own day, the Galileo case has been a sort of 'myth', in which the image fabricated out of the events was quite far removed from reality. In this perspective, the Galileo case was the symbol of the Church's supposed rejection of scientific progress, or of 'dogmatic' obscurantism opposed to the free search for truth. This myth has played a considerable cultural role. It has helped to anchor a number of scientists of good faith in the idea that there was an incompatibility between the spirit of science and its rules of research on the one hand and the Christian faith on the other. A tragic mutual incomprehension has been interpreted as the reflection of a fundamental opposition between science and faith. The clarifications furnished by recent historical studies enable us to state that this sad misunderstanding now belongs to the past." If you follow the link, he addresses your point about Einstein too. Hi, David--not sure why the "Church" should be singled out as "wrong" when it was, in Galileo's time, most of the rest of the *world* believing as the "Church" did about the "science" involved, correct? Indeed, part of the difficulty with Galileo's theories at the time was that they were...theoretical...and not yet conclusive. As a result, the "Church's" role was to proceed with great caution not just on behalf of the Church, but on behalf of the "world", as I see it. I don't think the Church is being "singled out." The article is about Galileo and the Church, not about how the astronomers of the time or the general public reacted to Galileo. 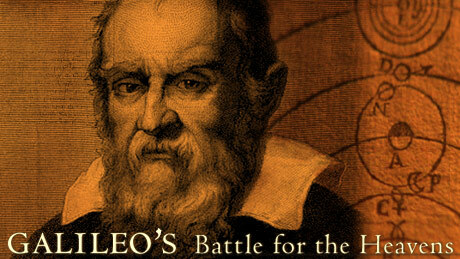 No matter how understandable some may find it that the Church resisted the idea of heliocentrism, forced Galileo to recant and kept him under arrest for the rest of his life, and maintained a ban on books advocating heliocentrism until 1758, it is still true that Galileo was right and the Church was wrong. "In the end, Galileo recanted his heliocentric teachings,but it was not—as is commonly supposed—under torture nor after a harsh imprisonment. Galileo was, in fact, treated surprisingly well. As historian Giorgio de Santillana, who is not overly fond of the Catholic Church, noted, "We must, if anything, admire the cautiousness and legal scruples of the Roman authorities." Galileo was offered every convenience possible to make his imprisonment in his home bearable." I'm sorry, but I need scholarly sources and/or peer reviewed scholarship cited here-and more than one-before I'm going to even begin to entertain the thought that imprisonment, charges (or near charges) of heresy and banning books was more like a "friendly little disagreement"
So setting the record straight is to be avoided? We should be okay with the exaggerated history presented by academics as gospel? The scholarly evidence is quite clear, and can be found especially in Le Opere Di Galileo Galilei, Antonio Favaro, which has relevant asections translated into English in Robert Sungenis' "Galileo Was Wrong". Galileo quite sincerely recanted heliocentrism, because he was, in the end, Catholic. appear to happen in one particular way. beyond the limits of our competence...."
I think all too many get their history form the likes of the DaVinci code and revisionist historians. Two important points: Try and look at the source documentation and do not superimpose current paradigms on the actual history. There is no doubt that Churchmen treated Galileo unjustly, and it was appropriate to make public apology for his treatment. And there is no doubt that Galileo was "right" and the Church was "wrong" regarding what orbits what. But his being right was, during his lifetime, a matter of intuition, not proof. Indeed, I believe the greatest irony is that Galileo was more right about the "theology" of Biblical interpretation than he really was about the scientific "proof" that would have transformed his intuition into an indisputable scientific fact. By getting the parallaxes, the tides, and the circular orbits all *wrong*, while at the same time thumbing his nose at the pope and the theologians (and effectively the rest of the world not yet believing the Copernican theory), he was far from mere victim as he was partially responsible for the manner in which all this played out. In fact, the affair was less about "faith vs. science" than it was about "this group of Churchmen vs. this scientist." It is a venerable example of what we see played out daily online and in the blogosphere--battles over truth that spin out of control because of hostile communication. Both sides treated each other harshly, though in the end the injustice fell much more to Galileo. But the Holy Office was not really unjust toward *science* or fearful of it--rather, when drawn into the affair due to Galileo's unswerving move toward theorizing about theology and Scripture and away from theorizing about science, the Holy Office eventually got way too aggressive in dealing with his aggressive approach. Meanwhile, I've always found it ironic that both sides of the "affair" are effectively "wrong" when making a claim about whether it is the Earth or the Sun that is the "center of the world" (presumably "world" here means "universe")--since we know that *neither* the Earth nor the Sun is that "center" of our universe. And from a theological perspective, it can be stated that, while the Earth orbits the Sun and not vice versa, the Earth remains the "center of creation" insofar as it is the locus of humankind. If one considers this concept as understood in Galileo's time, it can be said that the "affair" was largely about coming to terms with the fact that this theological "center of creation" is *not* in fact, the physical center of the universe. "Both sides treated each other harshly, though in the end the injustice fell much more to Galileo." And you are completely dismissing the power dynamic of an authoritative entity like the Church, which interrogated Galileo, stopped his publications and teaching and ultimately put him under house arrest (after a two week captive "dialogue" session). I fail to see exactly how Galileo treated the Church harshly-? And I see no Catholics here can provide peer reviewed sources or further scholarship on the matter? Darn it, the site just ate my comment. Trying again: Gwen, yes, there is a "power dynamic" between the Church and her members. It makes no sense to a modern secularist (and horrifies you), but humility and obedience are virtues. Has the "power dynamic" been misapplied by the Church? Yes, of course! I think of St. Padre Pio (died 1968), a priest and mystic. The Church had him placed under a sort of house arrest (due to his somewhat unruly mobs of loving followers) where he was forbidden from hearing confessions or saying mass publicly -- for years. He submitted with humility and obedience. Humility and obedience, while not appreciated these days, are essential to a soul's sanctity. Every saint had those virtues to the hilt (in imitation of Christ Himself). Now, this should never be understood to mean that we would obey a Church authority if he asked us to sin (never can we cooperate with sin! ), but in instances like Padre Pio or even Galileo, the "power dynamic" looked different to them (or to devout Catholics today) than it would to you (a modern atheist academic who sees the world via the oppression model -- always oppressor vs. oppressed). I hope that makes sense. I don't expect you to accept it or embrace it, but just try to understand it. I think humility and obedience can be appreciated by even the most devout Catholics of today without siding with the Holy Office against Galileo. Certainly it is unimaginable that the Congregation for the Doctrine of the Faith under Cardinal Ratzinger or any of his successors would take a position on physics or astronomy. Even today when the CDF finds against a theologian, there is no question of imprisonment! It is rare that someone considered a dissident theologian is even silenced. Though of course we have take into account what was known, understood, and believed in the 17th century, it has to be acknowledged in retrospect that the Holy Office was involving itself in a matter of science it was not competent to judge, and that even its approach to scripture was deeply flawed in the light of our understanding today. Regarding the cardinals from the Holy Office who voted against Galileo, I think the best we can say is, "Father, forgive them, for they knew not what they did." "I think humility and obedience can be appreciated by even the most devout Catholics of today without siding with the Holy Office against Galileo." Right, I agree. Same with what the Vatican did with regard to St. Padre Pio. No matter what the Vatican did, it was good and holy for Padre Pio to submit in obedience in humility. It's that level of obedience and humility that made him a saint. Hi, Gwen--thanks for the reply. I don't believe I've dismissed the injustice experienced by Galileo, including the injustices you have mentioned. I'm just not prepared to consider him blameless given the attitude he apparently took toward many who raised questions about his work, including the clear linkage between "Simplicio" in the Dialogue and the person of the Pope, as one example. Science has never disproven the two asseftions of the Holy Office. If we believe Relativity, science never *can* disprove them. Science has disproven *all* of the absolute-space based arguments of Galileo. Galileo was wrong, the Church was right. According to Fr. Robert Spitzer, Galileo was correct in his theory, but his telescopes were the first ever and thus imprecise. The incontrovertible way to verify that the earth revolves around the sun was to use the parallax method (measuring the tiny angle of observing a distant star from opposite points of the earths path around the sun). Telescopes were new and not precise enough to measure this angle. Many people including Galileo's personal friend the Pope, and the Jesuit community in Germany, were open to Galileo's theory. But because it was such a radical departure and because most of the scientists of the time insisted on the geocentric theory, they wanted proof. Galileo had many enemies in the scientific community who were jealous. Also what seems to be lost is that Galileo poked fun of the opposition's view in the character, Simplicio found in the dialogues of his book who held the Pope's personal position in the argument. Galileo basically called the Pope an "idiot" in poking fun of Simplicio (the name meant "Simpleton"). Not a good way to garner support for your views. Galileo refused to admit that his theory was a good theory lacking (at the time) overwhelming evidence. It's easy to judge in hindsite the imprudence of those officials in the Catholic Church who listened to the scientists who misused Aristotle. According to Fr. Robert Spitzer? If you correctly report the findings of Fr. Spitzer, then he is wrong. Galileo was wrong in each and all of his assertions advanced against the catholic Church's unanimous, patristic interpretation of Scripture concerning the cosmology and cosmogony of God's creation. Science was forced, by its failure to establish the expected motion of Earth around Sun by direct experiment, to re-invent itself from the ground up, on the premises of Relativity. Under these premises, science is incapable, even in principle, of establishing any absolute motion whatsoever, and the choice of reference frame is a matter of convenience, or, for the beneficiaries of Revelation, theological Truth. It is of course quite possible that Relativity is false (it is certainly looking poorly for the present, FLRW solutions to the Einstein Field Equations, anyway). In that case, the failure of all experiments to establish any motion of the earth would mitigate strongly in favor of geocentrism, even on strictly experimental grounds. The reality of the situation is this. Yes opponents of the Church have taken this incident and exaggerated aspects of it, even making things up like torture. Yes opponents are wrong to assert that the action against Galileo carried the weight of infallibility. At the same time I believe this article attempts to mislead in the opposite direction. It attempts to minimize the significance of what actually happened and minimize the negative aspects of the behavior of the church. Both sides are at fault. The fundamental point in the Galileo episode is the conflict between the 17th century church and the beginnings of Science. I point out that it was the 17th century church because I believe it is true that in the centuries since the church has embraced Science to a large degree. This is a point where opponents of the church also go wrong in their zeal. I have mainly two criticisms of the article. One is whether or not Galileo may have been wrong or unsure about anything is absolutely irrelevant, and I believe a red herring to lead us away from the fundamental point. One of the strengths of Science is that people are wrong very often. It's ok to be wrong. It's how we progress towards understanding. In this way the article subtly minimizes just how important Galileo was. He was a father of Science. Science has discovered more than anyone at the time could have imagined and the foundation of it all is in a large part Galileo. EVEN IF the Church had accepted that the sun was immobile and turned out to be wrong it is not a black mark against the Church. THAT is how Science progresses. What the Church should have done is accepted it was wrong and worked to figure out what was right. Originally and in the hypothetical immobility case. Instead it ended up declaring that heliocentrism was false. "to abstain completely from teaching or defending this doctrine and opinion or from discussing it... to abandon completely... the opinion that the sun stands still at the center of the world and the earth moves, and henceforth not to hold, teach, or defend it in any way whatever, either orally or in writing. "The Inquisition's injunction against Galileo, 1616. He was put under house arrest for the remainder of his life. No he wasn't tortured or imprisoned in a cell but let's not gloss over the reality of the situation. There really is no way around this. All in all I think people involved in both sides of this debate need a reality check. In my opinion this article fails because it really seems to be just something for Catholics concerned about this issue to read and make themselves feel better. Yet Galileo insisted on moving the debate into a theological realm. the issue would not have escalated to the point it did. Claiming that the universe is physically not geocentric should be "moving the discussion into a theological realm", only when dealing with the likes of fundamentalist Protestants and Muslims who hold that the Bible is infallibly, literally accurate in every way when it touches upon historical and scientific observation. If this claim is also a matter of theology for Catholics, then some of what I've been led to believe about Catholicism, Biblical literalism, and science is not correct. I'd also like to note that it's not just about Galileo's ego versus the Church (a conflict that I readily agree existed). It's also about Copernicus' De revolutionibus remaining on the Index until the 1830's. I'm unaware of any personal animus the good Doctor Nicolas exhibited against the Church to which that prohibition was a consequence. As to geocentricity being in part "theological", when Galileo moved from speaking scientifically and theoretically to speaking about how the scientific theory he espoused related to the Bible, God, and Church, it would seem obvious to me that the conversation was now in a "theological realm." Not only because of the Biblical questions regarding the Bible authors' approach to Earth and cosmos, but also because the Christian world view even today would hold that in a theological sense the Earth remains the "center of the universe" in that the pinnacle and centerpoint of God's Creation--human kind--originates here. In this sense, the Churchmen involved in the Galileo Affair were clinging to a more "elegant" notion of the cosmos by being so highly suspicious of the heliocentric theory which Galileo so fervently sought to make much more than theory, despite his lack of scientific proof at that time. It's a sad but vivid illustration of what some would call the "power of narrative"--on both sides. That is, folks usually don't want objective facts getting in the way of their pre-conceived narratives. This held true for both Galileo and his opponents in the Church. Is it consistent with Catholic doctrine that other intelligent species may exist elsewhere in the universe, and that God may deal/may have dealt with them in other ways than through the Mosaic law and through Christ? It certainly is not consistent with the doctrine of some Protestant inerrantists as I am sure you know. I would say that Catholic teaching would not automatically exclude the possibility that other rational creatures destined for eternal union with God could exist in the Universe. After all, the existence of angels could be so described. If it were ever proven that actual "physical-spiritual" rational creatures comparable to man existed somewhere else in the universe, this new evidence would have to be wrestled with both scientifically and theologically. Would we have another Galileo-type affair over it? I'd hope not. It is quite clear that Jesus Christ became incarnate upon one world, for the redemption of one race, the race descended from Adam. The notion of other rational souls in animal bodies is completely unknown to Scripture and Tradition, to the Fathers East and West, and to that Catholic cosmology which correctly understands the universe to have been created for the explicit purpose of the Incarnation of the Son of God- right here. If other rational souls in animal bodies exist, they are not descendants of Adam, and hence would have their "destiny for eternal union with God" apart from the salvation brought to us by Jesus Christ. You are preaching. I thought this site was for rational discussion. If you intend to assert that it is somehow not reasonable to point out that Christ incarnated on one world- this world- may I cordially invite you to reconsider. It is *quite clear* that the fact reported by me above is exactly that- a fact. It seems unreasonable to deny it, doesn't it? I've got two problems with this Rick. (1) It's not a fact, it's a belief or an assertion. (2) Stating things like this as facts without evidence is not helping the aims of this website as most atheists will find them just laughable. Do you mean to say that it is not a fact that Jesus Christ was incarnated here, and not some other world? I can assure you that this is a fact. It's not a fact that Jesus was a supernatural being which is the usual implication of "incarnated". It was, is, and remains a fact that Jesus Christ was incarnated here. The fact ought not be controversial. It is also a fact that Jesus Christ rose from the dead, was seen by over five hundred eyewitnesses, and anyone who wishes to deny this *fact* is invited to try. I typically find myself having to defend this *fact* against the atheists, but remarkably it appears that somehow good manners now involves not advancing this *fact* so that we can be more hospitable toward them. Hardly. It's far from a fact that Jesus ever existed. It's almost certain that the character in the bible is fictional and, at best, there might have been a guy who wandered around and was turned into a legend years after he died. But, definitely no guy who performed any miracles. you using it. Do you mean Mary and Joseph conceived and a son Jesus was born or do you mean that God made himself incarnate in human form. The historical records for the former are weak but it's plausible whereas suggesting the latter is a fact is risible. 1. causing or capable of causing laughter; laughable; ludicrous. 2. having the ability, disposition, or readiness to laugh. 3. pertaining to or connected with laughing. It does not put ones work in a favorable light when one purposefully ignores and excludes evidence that contradicts the hypotheses. What else is hidden from our view to protect the image of the Church? What might be hidden from our knowledge in the Vatican archives? Would the Church suppress and hide evidence against itself? I think we all know very well the answer to that last one, don't we? and see if this account still rings 'true'. The same Bellarmine that you quote also said that: "...if there were a true demonstration that the sun was in the center of the universe and the earth in the third sphere, and that the sun did not travel around the earth but the earth circled the sun, then it would be necessary to proceed with great caution in explaining the passages of Scripture which seemed contrary, and we would rather have to say that we did not understand them than to say that something was false which has been demonstrated." Furthermore, the "conflict" thesis that you demonstrate is very out of fashion in modern historical scholarship, with most saying that White and Draper oversimplify the relationship between science and religion. Indeed, Colin A. Russell has said that Draper "takes liberty with history, perpetuating legends" and that "he is rightly avoided today in serious historical study." As for White, who you quote, Russell says that "the same is true of [him], though his prominent apparatus of prolific footnotes may create a misleading impression of meticulous scholarship." Lastly, it must be noted that Galileo could not prove his theory. He simply could not account for the lack of stellar parallax. Stellar parallax no more proves heliocentrism, than does a Foucault pendulum. Relativity, my dear friends, requires of you much greater faith than you presently suspect. You are required to believe much more remarkable things, by Relativity, than you can imagine. Hush now, child, it's nap time. So easily reduced to the argumentum ad hominem? That is its own evidence. That's not the kind of dialogue we're aiming for here. Please refrain from such in the future or you will be blocked. That one didn't sneak past "4. Critique ideas, not people."? So just to be clear Luke "preposterous" is OK but "nonsense" is not ? Perhaps, like Parliament, we need a list of acceptable language. I wish I knew what you were referring to. I check in on the comments as often as I can and I'm not able to read every single one. You probably have a much better idea what the conversation has been than I do. But the post I deleted contained no arguments at all, and was clearly a snarky, sarcastic remark aimed at a person. Very few words would populate a list of ones which are altogether forbidden here at Strange Notions, and it would be both preposterous and nonsense to try and crate a list of acceptable language, apart from profanity being banned. But we are aiming at charitable dialogue and, as much as the moderators can do so, we're trying to keep the conversation aimed at ideas rather than personal attacks. Hi Luke, I didn't see Longshanks post so I was making no comment on that. But Brandon deleted something the other day and warned us not to call things nonsense. So I was just wondering how Rick was getting away with calling things preposterous. I can't find the rest of Rick's posts now where he does this. Disqus moves things around all the time. Ah, I see. Yeah one of the difficulties of this site is that there is SO much activity. And no single person could really effectively read all of the comments, or moderate them all. So Brandon and I and a few others just try to use our best judgment and try and keep things as on-topic as possible. And I figured you weren't really serious about the Parliament list, but that is definitely an acceptable use of sarcasm haha. If you're going to reference general relativity, you should make it clear that GR says all conceivable coordinate are equally valid as far as the math is concerned, including, say, an "egocentric" coordinate system centered on my head at all times, with the rest of the universe moving around every time I turn it. It would of course be nonsensical to say that GR allows for "geocentrism" to be more correct than anything-else-centrism. And since classical mechanics is still a reasonable approximation to GR as long as speeds or spacetime curvature are more correct, it's fair to say that Galileo was more correct than his geocentric rivals, since it seems unlikely that the scientific study of gravity and orbits could have leap-frogged classical gravity to go directly to general relativity; the approximate classical theory was a necessary step in the progress of physics, and it could never have been developed if people had refused to consider to consider things from a heliocentric perspective (or more accurately, a perspective where the focii of Earth's elliptical orbit are treated as being at rest). hi hypno- sorry, missed this one. "If you're going to reference general relativity, you should make it clear that GR says all conceivable coordinate are equally valid as far as the math is concerned, including, say, an "egocentric" coordinate system centered on my head at all times, with the rest of the universe moving around every time I turn it." >> If I failed to make this sufficiently clear, I certainly thank you for doing so. But the only alternative, of course, would have been to admit that the Earth isn't going around the Sun, after the Michelson Morley experiment. If Door Number One is a stationary Earth at the center of a rotating cosmos, then the Enlightenment will take Door Number Two, even if it involves the incredible assertion that physics cannot distinguish absolute motion by any experimental means, and the laws of physics *must* be equally valid whether the center of the Universe is taken as the Sun, the Earth, Proxima Centauri, or hypno's spinning schnoz. "It would of course be nonsensical to say that GR allows for "geocentrism" to be more correct than anything-else-centrism." >> Sure would. If Relativity is true- and I have stated this several times already- then physics is not in a position to address the question of centrality/absolute frame. But, as I have also stated several times, Relativity, in its current, FLRW solutions, absolutely requires that there be no preferred direction in space- no up, down, left, right- and this has now been definitively falsified (Planck 2013). "And since classical mechanics is still a reasonable approximation to GR as long as speeds or spacetime curvature are more correct, it's fair to say that Galileo was more correct than his geocentric rivals, since it seems unlikely that the scientific study of gravity and orbits could have leap-frogged classical gravity to go directly to general relativity; the approximate classical theory was a necessary step in the progress of physics, and it could never have been developed if people had refused to consider to consider things from a heliocentric perspective (or more accurately, a perspective where the focii of Earth's elliptical orbit are treated as being at rest)." >> Bravo. I completely agree that the theory of universal gravitation as developed first by Kepler's derivation of the laws of planetary motions, and then by Newton in the Principia, could never have happened without the adoption of the heliocentric model. will prove impossible to resolve from within the postulates of General Relativity. Please see my answer to the same question from Andre above, sev. While it is flattering to have received this question twice now, I want to reiterate that I have no degree in physics. All of the knowledge involved in these posts is accessible to any reasonably literate layman who is interested enough in the question to research it, strictly as a layman. Thanks... I hadn't seen that from Andre. Just one point: I wouldn't flatter yourself too much about getting that question twice. I would be delighted not to have received it once, since the very asking of it reveals in the asker a profoundly illogical approach to truthful knowledge. Uh no... Don't do that Rick. You cannot even begin to ascertain, with what I think is your thought of 'certainty', why I asked that question unless you have mind reading capabilities. It is true that I am unable to know with certainty your subjective motivation in asking the question, sev. It is possible to say with objective certainty, however, that there is no logical connection between the validity/invalidity of an assertion, and the credentials of the one advancing it. "From Earth, the motion of Mars, Saturn, and Jupiter cannot be explained with a geocentric model." Now I have no reason to doubt your "credentialization" of your friend as "knowledgeable about physics". Perhaps he even has a degree. But he is hilariously, preposterously wrong in his assertion, as was conclusively demonstrated by my citation of the recent paper in the European Journal of Physics. But the preposterousness of the assertion could be known by anyone, even apart from the cited Journal paper. All one has to do to show the preposterousness of your friend's assertion, is to understand the basic postulates of Relativity, *and their logically necessary consequences*. This I was able to do, despite my lack of credentials, and this your friend was not able to do, despite his credentials. So, we have another example of why the "argumentum ad verecundam" is one of the classic logical fallacies. "We would rather have to say that we did not understand them than to say that something was false which has been demonstrated." 1) If something gets demonstrated as true contrary to our understanding, we must amend our understanding, or admit it's lack where we thought we had one before. 2) The truth content of "the earth revolves around the Sun" and "Jesus was not born of a virgin" are equal. 3) We understand Jesus to be born of a virgin. 4) We observe the earth to revolve around the sun. 5) From 1) and 2) = Jesus was not born of a virgin. It is a simple matter of physics. We are unable to assert any absolute motion of Earth around Sun. In typical Catholic Answers form, the approach here is to assure us that the Church was wrong and heliocentrism is proven, but infallibility is not involved so hey! Weak as a kitten, deservedly the kind of apologetics which leave Catholics with an uneasy sense of "yeah, but....if the Church was wrong about *that*, can She be wrong about___________________________(insert favorite dissident agenda here- "gay marriage", "contraception", "women priests/deacons", etc). 1. No experiment has ever demonstrated any motion of the Earth around the Sun. 2. If you don't believe that, it is because you have not investigated the matter. "The struggle, so violent in the early days of science, between the views of Ptolemy and Copernicus would then be quite meaningless. Either CS [coordinate system] could be used with equal justification. The two sentences, 'the sun is at rest and the earth moves', or 'the sun moves and the earth is at rest', would simply mean two different conventions concerning two different CS [coordinate systems]." 4. Every argument Galileo advanced as proving heliocentrism has been falsified as a matter of direct scientific experimental test. 5. No scientific experiment has ever falsified the Holy Office's assertions concerning the Scriptural teaching of the motionlessness of the Earth. 6. It gets even worse for the "the Church was wrong but don't worry about it" crowd: the largest scale-structure in the universe- the CMB itself, and quasar/radio galaxy distributions, as well as Type 1a Supernovae observations, *are all oriented with the ecliptic and equinoxes of Earth". 7. Please read #6 above three times slowly and if you aren't absolutely stunned, read it again. I am quite familiar with the video, Q Quine. I suggest you, or anyone else who finds its arguments compelling in any way at all, first begin by re-reading Einstein's quote above, and second bring whatever you find persuasive to me. Quine, my good man, be good enough to stop stalling. Put up or shut up, pal. You are far more educated than I am when it comes to Physics so I won't bother with debating that. I'm wondering why you are so educated and vocal about your opinion? What was your motivation in putting such effort into this topic? You seem to want to vindicate the bible as not unscientific, that it actually does describe the way the universe works. That being said I wonder what you believe about creation/evolution? Also I wonder if you believe the scene at the Tower of Babel accurately describes how we ended up with different languages? I have a layman's interest and familiarity with those aspects of physics which touch, especially, upon the history of cosmology- perhaps more-than-usually developed, but still a layman's interest. My motivation consists in the application of two principles; the first a grace granted by God, and the second a personal hypothesis. The grace: I have asked and been granted to not allow a defined dogma of the Catholic Church to be contradicted in my sight or hearing without defending it to the utmost of my ability. The hypothesis: In any case where tension exists among magisterial teachings on a given question, the highest level of magisterial teaching on the question will be seen to represent the authentic, heaven-protected teaching of the Church. These points in mind, it is not that I wish to vindicate the Bible as not unscientific, but rather that I wish to vindicate science as proceeding in all of its observational particulars, and in all of its valid interpretative generalizations, from that very same Author of Scripture. That is; I wish to vindicate the Catholic dogma that Faith is above reason, but never in conflict with right reason. That is; I wish to point out that science will, inevitably, provide us evidence that the universe works exactly the way the Author of both the Universe, and of Scripture, tells us it works, both in the Book of nature, and in the Book of Scripture, reiterating that both Books proceed from the same Author. An example: The Church, from the very beginning, upheld geocentrism as the way the universe actually is. This on the strength of the ancient, unanimous consensus of the Fathers as to the authentic interpretation of Scripture. It is a dogma of the Catholic Faith that no interpretation of Scripture can be authentic which is in opposition to a unanimous consensus of the Fathers. Armed with these facts, approach the question of the scientific elaboration of cosmogony and cosmology. Notice that the legitimate operational ("Duhemian") domain of science certainly extends to the heliocentric hypothesis, since the heliocentric hypothesis was advanced by Copernicus precisely as a means of rectifying certain difficulties in the Julian calendar, which difficulties Pope Leo X had explicitly asked the leading minds of Christendom to address. Notice that Galileo asserts something entirely new; that is, that it is not merely a useful hypothesis that the Earth go around the Sun, for purposes of working out this or that calculation more readily, but instead *it is actually the case that the Earth goes around the Sun*, and this has been established by Galileo based on such-and-so an experimental proof. Notice that this idea was so powerful, so incredibly persuasive and fruitful in terms of its scientific fecundity, that within a mere century or so Newton had employed it to construct the first truly scientific system of the world, by means of an hypothesis of universal gravitation. Notice that this was the very first time in all of European history that Joe Sixpack was persuaded that the Scriptures could be in error- or, at least, the Church's interpretation of them could be in error. Notice that this begins the approximately three and a half century decline of Christendom in the West. Notice that every single proof advanced by Galileo has been observationally falsified, as a matter of science. What if the Church was right all along? Wouldn't we expect, if Catholicism were true, that the universe would look something like the Church has proposed from the beginning; that is, Earth is not some insignificant rock wandering through space, but is instead the crown jewel of creation, the place prepared by God for the Incarnation of His Son for the redemption of the race of Adam? Then simply look, carefully, at the entire history of the affair, arriving, inevitably, at the profoundly shocking, world-changing recent observations which have definitively falsified the Copernican Principle itself. It is quite a remarkable exercise. Evolution is, as Karl Popper rightly said the first time around, not a scientific research program. I have not researched the question of the Tower of Babel, so would not care to venture an opinion on the literary form of the passage. I see what you are saying. I bring up evolution and the tower of babel because I think they are two good examples from the bible which make it hard to argue that the author of both is the same being. It is pretty clear that the way the bible describes how we got the variety of life we have, and the variety of languages we have, does not jive with what science and linguistics have essentially proven. I bring them up because I think they are more clearly understood and studied than cosmology, probably because it is much easier as they happen on earth. With language, not only is it intuitively obvious that the biblical explanation doesn't work, it is pretty clearly understood and demonstrated how languages evolve and die and they do not stem from one incident in the middle east. With evolution I have to disagree with your assessment so far. It is a scientific proposition because it makes predictions which can be verified and tested. For example based on evolutionary theory scientists can predict what types of fossils they will find and in what locations, and it is repeatedly verified in this way. So, you will not find rabbit fossils in Precambrian layers. It is used to make predictions in fields other than paleontology as well such as genetics, and maybe even most importantly to us now it is vital to our study of viruses. Any honest analysis of the evidence for evolution will lead one to only two options. One is that evolution is true and the other is that it is not true at all but God created the entire universe in such a way as to make it look like it is true. I acknowledge that the cosmological argument stands for purposes of our exchange- it is endlessly intriguing to me how quickly the atheist recognizes the ground shifting underfoot on these matters, and how slowly the Catholics do. I think the relevant explanation lies under the heading "Stockholm Syndrome". I cordially acknowledge your various arguments from plausibility- all of these are metaphysical in nature, and the specific point I made was that evolution is a metaphysical, not a scientific, research program. I gave you the link that would allow you to assess and, perhaps, respond to that argument, but instead you posted an entirely irrelevant link to talkorgins, which link does not so much as wave its hands in the general direction of my argument or thesis. We have something arguably more astonishing than the rabbit in the Precambrian. We have purportedly 80,000,000 year old T Rex bones with soft tissue, blood cells, and collagen. As my linked argument demonstrates, Popper's elaboration of the crucial characteristic of the scientific- as opposed to metaphysical- research methodologies, consists in the commitment to experimental falsifiability of the theory in the face of anomalous evidence. Metaphysical programs will employ "conventionalist twists" in order to explain away an anomaly. Scientific research programs will seize upon anomalies, and employ them in crucial experimental tests *with the intention of potentially falsifying what we think we know*. The story of the r4efusal to C14 date Mary's dino bones is conclusive evidence that evolution is, today, not a scientific, but instead a metaphysical, research program. It should be assessed on metaphysical grounds. I am in the process of that assessment. So, you must be able to point out a couple of quick things that the video is wrong about. Instead you redirect to your ability to copy and paste a quote from Einstein. You'll have to explain why Einstein would support your geocentricism. That would require understanding the implications of the quote. I'm here to learn. Please explain how the specific theory that Einstein was trying to explain in the quote you're using to support your opinion, well.... actually supports your opinion. I am delighted to teach. The linked video is a dunderhead's botch job, an extended riff on the "argument from personal incredulity". There exists not a single scientific demonstration of absolute motion of the Earth, as both I and Einstein have told you. Do you have evidence to the contrary, other than a reiteration of the same argument from personal incredulity? Physics cannot establish absolute motion. This is the basis of Relativity. If you cannot disprove this basis, then you have learned why the video is a dunderhead's exercise, intended to impress dunderheads. >The linked video is a dunderhead's botch job, an extended riff on the "argument from personal incredulity". That's not teaching. That's an assertion. I'm asking you to explain it. I have no idea what you're getting at and I'm asking you to clarify. Is that what you mean by "personal incredulity"? You should look that term up. >There exists not a single scientific demonstration of absolute motion of the Earth, as both I and Einstein have told you. What framework are you using? You'll have to show me that you have some understanding of the framework that the quote was addressing and that it bears any resemblance to yours. "Absolute" doesn't help us much... unless you take the trouble that Einstein took and try to EXPLAIN it. Of course, Einstein did that after he'd demonstrated things with math. But as the math is a well established part of physics, I'm just asking you to explain your concepts and if you're going to quote Einstein, show me how it bears any resemblance to what Einstein was talking about. As I said, I'm here to learn. To paraphrase Foghorn Leghorn, I'm a-tryin' to catch them son, and you're not THROWIN' them! >This is the basis of Relativity. Do your homework. If you do not understand the difference between absolute and relative motion, start with Newton's Bucket. Go fill a bucket with water. Hang it by a rope from a hook on the ceiling. Wind up the rope and let it go. 1. At the beginning both the bucket and the water are still, and the water is flat. 2. When the bucket spins rapidly, the water stays still and flat. 3. After a while, the water starts to spin. 4. As the water reaches the same rotational speed as the bucket, it starts to climb up the sides of the bucket. 5. When the bucket stops rotating, the water continues to climb up the sides of the bucket. Newton was smart enough to understand that was weird. He supposed that some force must be related to the rotation, but he said it could not be relative, since when the bucket speed was fastest, the water was flat, while when the bucket speed was zero, the water was concave. From this he deduced his theory based on absolute space (and time), a space in which objects would move in accordance with his theory of gravity. Since under Newton's laws the much less massive Earth must orbit the much more massive Sun, it was considered too obvious for words that the Earth's speed with respect to absolute space should be directly measurable. Two centuries later all experiments had failed to detect any such absolute motion of the Earth through space. Finally, in 1887, Michelson and Morley conducted what was to that point the most advanced scientific experiment in history, designed to precisely measure the motion of the Earth through absolute space. It detected a motion far too small to allow an orbit of Earth around Sun. From just those two simple postulates, the entirety of physics was reformulated. 1. Since there is no absolute space, and since the speed of light is constant regardless of the speed of the object emitting it, there can be no optical or mechanical measurement- not even in theory!- that will directly disclose the motion of the Earth through space- or anything else for that matter. All we can measure henceforth are *relative* motions. All choices of reference frame are a matter of convenience or preference. Physics can tell us nothing about a preferred reference frame. Physics can tell us only about relative motions between objects. Which is why the linked video is a dunderhead's botch job, intended to impress dunderheads. Oh, and by the way- how did Einstein explain Newton's bucket? By adopting the ideas of Ernst Mach, who pointed out that Newton was unable to prove that the water was not climbing the bucket walls due to the influence of the gravity of the Earth, or of the distant masses of stars. Mach's Principle states that we would see the same "fictitious forces" which arise in the Newtonian system as a result of rotation, whether we considered the Earth to be rotating on its axis, or whether we considered the Earth to be at rest and the universe rotating around it. Mach's Principle had a huge influence on Einstein when he developed his Theory of Relativity, and it was Hans Thirring who actually worked out the solutions to the Einstein equations, and showed the equivalence between a rotating Earth or a rotating cosmos, in his 1917 paper "On the Effect of Distant Rotating Masses..."
People really have no idea what strange things they are required to believe, in order to believe Relativity. All of the above is quite true. It is also true that Newton could not account for the inertial forces directly, but had to introduce "fictitious" inertial forces which "arise" in a rotating frame. But the bucket experiment discloses a flaw in one of those frames- the "bucket frame" does not obey the laws observed in the lab and water frame. If we assume the bucket frame (we are sitting on the edge of the bucket, motionless, while the lab rotates around us in the opposite direction) the centrifugal force cannot be accounted for. We do not observe the scientist spinning the bucket to be thrown against the walls of the lab by the "centrifugal force" alleged to be forcing the water up the sides of the bucket. This is a very interesting fact. Newton quite reasonably assumed it to be a conclusive falsification of the relativity of motion. He was in error in ascribing the "absolutivity" to space. There is only one other possibility- unless we wish to start introducing "fictitious forces" that somehow "arise" in the context of rotational motion. Which is exactly what physics in fact has done. This itty bitty little assumption is what has led us to the present, existential breakdown-crisis for physics in the Planck satellite and related cosmological observations which show a definitive break with the *necessary* consequences of the "fictitious forces" approach as proposed by Einstein- isotropy and homogeneity. Both are absolutely, irreducibly *required* in order for the FLRW solutions to the Einstein Field Equations to work. But the CMB is not isotropic, and the quasars, galaxies, and Type 1a supernovae, are not homogeneous. up the sides of the bucket. This is a very interesting fact." Uh, no, this is completely established observational physics. relative to some arbitrary reference frame and coordinate system. planets and this is a way to detect them. Please thank your friend for this quite cogent response, sev, I will take it point by point as it deserves. "[You're] confusing relative motion with absolute motion and reference frames." >> No. This is not the case. I have instead clearly shown how the absolute motion assumed by Newton was falsified by the failure of all experiments to measure an orbital motion of Earth around Sun, and how such absolute otion was banished from physics by Relativity. "Of course, all motion is relative to some arbitrary reference frame and coordinate system." >> That is a postulate, of Relativity. It is, of course, falsifiable. One way to falsify it is to examine whether the underlying, necessary assumption of isotropy and homogeneity holds true. "The question at hand is not whether one can measure the absolute motion of the Earth or Sun, but what the relationship is between the Earth and Sun *relative* to one another." >> No, this is also not correct. The relative motions of Earth and Sun are indifferently attributable to physics originating from a frame in which the Sun is taken as at rest, and the Earth is taken as at rest. This is exactly what Einstein has told us, above. "While it is true that if one picks the Earth as the relative, motionless reference frame it can appear to an Earth-based observer that the Sun moves around the Earth that concept is shown to be completely incompatible with reality when the motion of other planets,"
>> This assertion is either dramatically false, or else it entitles its author to the Nobel Prize in physics, since he will be about to disprove Relativity. "such as Jupiter, which Galileo was well aware of (as well as the Jovian satellites). This incompatibility is why the Aristotelian system required epicycles." >> There is not a syllable about the Aristotelian/Ptolemaic system in my posts. Jupiter moves exactly the same in either a geocentric or heliocentric coordinate system, under Relativity.
" From Earth, the motion of Mars, Saturn, and Jupiter cannot be explained with a geocentric model." The calculation of the trajectories in the Sun-Earth-Mars system will be performed in two different models, both in the framework of Newtonian mechanics. equivalence of these systems, under the assumption of Mach’s principle." In other words, your above assertion that the motions of the planets cannot be accounted for in a geocentric model, is *false*. "The only consistent explanation is that all the planets revolve around the Sun, and this will be true from any reference frame you use." >> False again. See above link. "The thing about reference frames is that they don't change the physics of what's actually happening." >> In Relativity, this is quite true, Exactly. Which is why your objections have all failed. "Finally, I'll add that the Earth doesn't actually revolve around the Sun. Both revolve about their common barycenter, which happens to be very close to the center of mass of the Sun, but not exactly, and this is true regardless of what reference frame you use. The revolution about the barycenter produces a "wobble" in the Sun. The same happens for extrasolar planets and this is a way to detect them." >> The common barycenter cannot be determined apart from the effect of gravitational masses of the rest of the universe. This is why Thirring was able to show the equivalence of forces whether the Earth is taken to be at rest, or whether it is taken to be rotating on its axis. See Thirring, "On the Effect of Distant Rotating Masses", 1917.
" There is not a syllable about the Aristotelian/Ptolemaic system in my posts." That might be because that would start to make your view, shall we say, untenable, once Occam's razor is considered. As I explained in my last post, I'm not too knowledgeable about physics (so this will most likely be my last post to you for the moment). I have considered one very good way to falsify the heliocentric model and that is to send out satellites to other planets using that model. If it is wrong, the satellites shouldn't get to their target. My view is the one that just got published in the European Journal of Physics, sev. It's the one that just blew your friend's argument completely out of the water, as a matter of *science*. Your argument about the heliocentric model's applicability to satellites is especially interesting, since it turns out to be the case that *all* of NASA's deep space probes are controlled by navigational siftware that does the *entire computation* in the ECI (Earth Centered Inertial) frame. Now this does not necessarily mean that geocentrism is true. It just means that we have to do our navigating from that frame. But it is exactly as ludicrous to suggest that, simply because NASA/JPL do navigational computations from a geocentric frame, therefore geocentrism must be the only absolute frame, as it would be to suggest that even if NASA *did* start to do some computations from a solar barycentric frame, that would mean heliocentrism must be the only absolute frame. Relativity- the current consensus model of physics- states that no such absolute frame can be established by any physical experiment or observation whatsoever. Hope this starts to sink in at some point. On the other hand, if relativity is *false* (I believe it is), then we have no explanation at all for the failure of the Michelson Morley (and similar experiments) to detect the universally-assumed orbital motion of the Earth around the Sun. While the issue is still undecided, it is worth noting that Relativity *postulates* that the Earth can be in no special position with respect to the largest scale structures of the cosmos. This *postulate* has been observationally falsified, as I have shown in the links provided above on this thread. Phil actually agrees with me that physics cannot establish absolute frames. The rest of Phil's post amounts to an extended "but it makes so much more sense the other way"; that is, the argument from personal incredulity, which is an argument of hacks, by hacks, and for hacks. But, as you say, the relevant scientific point is admitted by Phil. Physics cannot establish absolute frames, if relativity is true. Actually, Phil comes more than merely close to it, he exemplifies it. Sev, you have a problem with the fact that physics cannot provide us any experimental evidence in favor of your preferred world view. The difference between us is that Phil- too well-educated to dream of contradicting Einstein's foundational postulate for Relativity- knows he can count on the "but everybody knows it *must* be this way* appeal to sway the minds of the easily-led. Neither Phil, nor your friend, nor you, has been able to come up with any observational/experimental evidence that establishes an absolute motion of Earth around Sun. You all, of course, much prefer the heliocentric frame, and are astonished to find out that physics cannot confirm you in your preference. Let us clearly understand that this is a metaphysical, not a scientific, preference. While you're teaching, which of Einstein's theories is he discussing in the quote you're using, and how does it support a geocentric view? I'm not even sure why you think this needs saying. The Catholic Church is guided by the Holy Spirit. By definition is must be right. The Catholic Church is indeed guided by the Holy Spirit, even to the extent that She will never bind the faithful to error in matters of Faith. It is necessary, assuming we are adults, to recognize a small but important number of anomalous cases where the teachings of the Church are in some greater or lesser degree of tension with one another. It is my personal decision and conviction that the highest level of magisterial authority exercised by the Church on these issues, constitutes the authentic teaching of the Faith. Hope this explains why it must be said. For those interested in what people with much more knowledge about these topics than I have to say, I submit a question I asked the Astronomy people over at the reddit AskScience sub about this very topic, because of this very commenter's...strongly held beliefs. Needless to say, it was partially edifying, partially depressing, partially hilarious...I'll leave it to you to decide in which proportions and at which junctures. Yeah, that was a cool thread. It is really amazing how unprepared the new atheist brights are to handle the implications of the Planck observations. But then again, the Catholics haven't even begun to get it yet either. The universe is oriented in its largest structures, in completely unpredicted and anomalous ways, with supposedly insignificant Earth. That's the fact of the matter, and that fact means we have reached the end of one world view, and the beginning of another. If anyone is reading DeLano's responses here, on his blog, or elsewhere in the universe, and really scratching their heads, I humbly submit the follow link, which has helped me through many a tough conversation. Lest I be hoisted on my own potatoe, let me say now, and upfront, that I have no authority in the realm of astrophysics or cosmology or relativity. I am also painfully aware of the many times I've been a victim of DK myself (perpetrator? ), and my ability to be now. Longshanks, have the courage to actually address the issues, or be good enough to leave the discussion to those who can. It is small, very small indeed, to wave your hands at some wiki link, having admitted your own inability to understand and engage the questions under discussion. On the bright side, it is a tactic which, in its own way, throws the relative merits of our arguments into clearer relief. I'm generally not one for putting inordinate amounts of weight on things like 'scientific consensus'. However, just out of curiosity, would you mind sharing what credentials you have that would lead us to take you seriously? You seem to be going up against a lot of the brightest scientists in this field. Do you have a degree in this field? I am glad you do not situate scientific validity in consensus. In fact all scientific progress has consisted, exactly, in one single mind conceiving an hypothesis in opposition to the then-prevailing consensus, and subjecting that hypothesis to successful crucial experimental test. I can put you at ease concerning credentials- I have none. If you wish to take me seriously, I am afraid you will have no alternative but to examine the arguments themselves. If you wish to dismiss me on the basis of a lack of credentials, it is completely up to you, allow me to point out that such a decision would involve a logical fallacy, the arg7umentum ad verecundam. Lastly, I must decline to agree with your final point. While the standard LCDM cosmological model certainly retains its status as the overwhelming consensus, it is also empirically certain that recent results, especially of WMAP as confirmed by Planck, cast the foundations of that model into the gravest circumstances they have yet faced, and a very significant and growing number of leading cosmologists have pointed this out in papers and interviews (see my blog for specifics). It is also important to distinguish between Duhemian, operational/observational science, and interpretation of the observations of that operational/observational science. The observations are the observations. The interpretation of those observations will, in each and every case, be an expression of the metaphysical world view of the interpreter. I interpret the observations from within the metaphysical world view of Traditional Catholicism. It would be very difficult to find scientists today who do the same. However, the recent observations of Earth-oriented structure in the very largest observable structure os the cosmos happens to have come as a sledgehammer blow to the consensus, and as a spring of cool water to me. Hope this addresses your question adequately. "I can put you at ease concerning credentials- I have none. If you wish to take me seriously, I am afraid you will have no alternative but to examine the arguments themselves." I share your view that the 'history of science' if filled with examples of iconoclasts, and that we've not seen the last example of consensus being overturned. The problem I have, and I would assume some others do, is that having not been formally educated in this field, I'm in no position to make heads or tails of most of your claims. This gets compounded when it appears that neither the Church nor the scientific community shares your view of geocentrism. Given your admission that you have no formal training in this field, I suppose I'd rather wait to see an actual physicist make these claims before giving them weight. Thanks again. It is the physicists who are making every claim I advance, as far as the observations are concerned, Andre. I have made no personal scientific breakthroughs. I merely report truthfully the content and legitimate implications of those who have. But I fully understand your point- while there really is no substitute for integrating personal knowledge- it is the fact that I have done this that allows me to advance the arguments I do- it is also quite understandable that those who have not integrated personal knowledge concerning these matters might find it expedient to look to the credentialled for guidance. I would only say that we happen to live at one of those extraordinary moments in history where the foundations of an entire world view are collapsing in the face of scientific observations so stunning as to have rendered the cosmological community unable to believe their eyes for 14 years and three satellites' worth of observations. The observations are now confirmed. They show that the universe is not isotropic and homogeneous; that is, they falsify the foundational assumption of cosmology itself- the "cosmological principle". If you wait a few months I will, God permitting, enable you to hear those words coming directly out of the mouths of several very highly credentialled cosmologists, since I have an almost-completed documentary film in final post entitled "The Principle". Much more astonishingly, the observations which form the subject of "The Principle" also falsify the Copernican Principle, which is, in my view, the foundational assumption of the modern world itself: we are not privileged observers of the cosmos/ Earth is not in a special position wrt the largest scale structure of the cosmos. It turns out that we are. "I merely report truthfully the content and legitimate implications of those who have." I don't necessarily doubt the content (the observations) you report, it's the implications that you seem to draw that I wonder about. Without any formal training in the field, why should it matter what your conclusions are when neither Church nor science seems to agree? "If you wait a few months I will, God permitting, enable you to hear those words coming directly out of the mouths of several very highly credentialled (sic) cosmologists." A: "I don't necessarily doubt the content (the observations) you report,"
>> If you were to doubt them, the doubt would be short-lived. A: it's the implications that you seem to draw that I wonder about. >> That is quite legitimate. The observations themselves do not prove, for example, that the Earth is the absolute frame. It is, however, a solution to the observations which is consistent with their logical implications; that is, physics is not in a position to falsify this possibility by any observation or experiment. This is a very fascinating point for those of us who understand what the Church's magisterium has actually taught on this question. A: "Without any formal training in the field, why should it matter what your conclusions are when neither Church nor science seems to agree?" >> The Church happens to agree completely with my conclusions, in her official magisterial acts. Science is unable to falsify either the Church's or my, conclusions, and hence the matter becomes one of examination of the evidence. The evidence *does* conclusively falsify the cosmological principle, as you will see corroborated by several of the world's leading cosmologists in "The Principle". While the question of Earth's centrality/immobility is not established by these observations (centrally involves relationship to perimeter, and the perimeter of the cosmos is not observationally established), it is crucially important to understand that Rekativity (at least in its present, FLRW solutions) requires absolutely that the cosmological principle hold true. Here we go again. Just try and address the claims. One could easily equate credentials with swallowing the kool-aid. "Just try and address the claims." Here's the difference between Rick and myself - I won't claim to know or fully understand what should take 8-13 yrs of undergrad & graduate education in Physics (a bit longer for 10th-grade dropout Rick here). I don't view the scientific consensus as infallible, I just view Rick having the right of it as improbable. "One could easily equate credentials with swallowing the kool-aid." You're absolutely correct, in that it's entirely possible for accredited scientists to be wrong (in fact it happens quite frequently). However, rather than return to university and get a separate degree in Physics, it's much quicker to just do some google-searches on Mr. DeLano. One quickly discovers that Rick D is close associates with "Dr." Robert Sungenis - who, in addition to being one of the leading geocentrism advocate, dabbles in Moon landing and 9/11 conspiracy-theories, with a bonus side of Antisemitism. These are not the types of people I find it necessary to take seriously. In fact, I think one must drink quite a bit of kool-aid in order to do so. OK - your decision, but I have yet to see his case refuted. The more one looks into this it becomes clear that the math works either way. In any case, the arguments themselves point by point should be argued. "I have yet to see his case refuted." Do you mean you've seen experts try and fail to refute his case, or that you've yet to see an expert even attempt to? "In any case, the arguments themselves point by point should be argued." "I see a lot of scientists dabbling in other things to. One can be entirely right on one and entirely wrong on another." Sure, though neither DeLano or Sungenis are scientists. "I hope your argument is not one of either popularity or unpopularity." What do you think my argument is? I see a lot of scientists dabbling in other things to. One can be entirely right on one and entirely wrong on another. We see this all the time especially in science as it is "provisional". I hope your argument is not one of either popularity or unpopularity. Rick DeLano et al...With regards to the 'earth revolving around the sun vs. sun revolving around the earth' discussion, it's important to make clear what we're actually saying here. Someone with a background in physics might be able to explain this better than I, but I'll give it a go. With respect to there being some sort of 'absolute reference frame', it is correct to say there is none (or if there was we'd have no way of knowing which was the 'correct' one). Having no 100% firm ground to compare too, we describe motion in terms of different related frames of reference, or in other words how 1 object moves with respect to another object. #1: From an observer on earth, it would appear that the sun indeed does revolve around the earth. #2: From an observer on the sun, it would appear that the earth indeed does revolves around the sun. #3: For all other observers it would appear that each (ignoring for a moment the additional gravity generated by all the other mass in the solar system) revolve around a common center of gravity, which due to the extremely high mass of the sun compared to the earth, the earths orbit would be only very slightly different from that viewed from the observer on the sun, and the suns orbit would be the slightest wobble one way or the other. It should be noted that the center of gravity between these two objects is located far below the surface of the sun. What Einstein says is that due to there being no absolute frame of reference to compare too, each of these views are equally valid. It's the old Obi-Wan Kenobi defense of being "True... from a certain point of view"
However, when putting forth a comprehensible model of the solar system suggesting that the sun (the most massive object in the solar system) revolves around the earth (a relatively small object in comparison) while at the same time other objects that are far more massive than the earth yet far less massive then the sun all appear to also then rotate around the sun, it doesn't make a whole lot of sense, even if from an observer on earth this appears to hold true. With regards to identifying common center of gravity between the sun & earth, it is true that the force of gravity is infinite in it's reach meaning that literally the entire universe is tugging us one way or another, making pinpointing an exact center of gravity exceedingly difficult or impossible. What this ignores is that the effects of gravity are exceedingly weak, even on a universal scale, when compared to objects in our immediate vicinity. True, the far more massive suns gravity pulls on us on the surface of the earth, but we don't fall upwards because the effect of such a pull is so small it's effectively zero. Similarly, while we might be able to account for some of the more massive objects in our solar system when determining an earth/sun center of gravity, it'd be impossible to pinpoint this without knowing precisely where all the mass in the universe is in relation to us, however its overall pull is so small (again, effectively zero), we can simply ignore it and calculate such things to an absurdly high accuracy. So Rick, what you're ultimately doing is using a quirky technical truth of relativity to justify what is simply an incomprehensible view of the solar system. You're using a technical truth about gravities infinite reach to obscure the fact that it's effects are so small for distant objects, it's effectively zero, and ignoring that the built in margin of error (which all such good science notes) in such calculations is so small a range that for all practical purposes it can be thought of as correct. I can't speak to your motives of doing so, though I suspect honest teaching is not one of them. A strict geocentric model holds true in 0.000000000000000000000001% of the universe and that percentage falls every moment as the universe expands... a non-zero number to be sure... but effectively zero. "#1: From an observer on earth, it would appear that the sun indeed does revolve around the earth. >>Not agreed. From a point removed from both Earth and Sun, the observer would see both objects revolving around the place where the observer was. The barycenter, as previously pointed out, cannot be considered apart from the consideration of the mass of the approximately 60 septillion additional stars, not to mention the approximately 99% of the matter/energy of the universe which cannot be found under the procedures of the existing cosmological consensus. "What Einstein says is that due to there being no absolute frame of reference to compare too, each of these views are equally valid. It's the old Obi-Wan Kenobi defense of being "True... from a certain point of view"
I believe Door Number One was chosen for perfectly obvious reasons, but those reasons, let us never forget, were metaphysical, not scientific/observational, in nature. If Relativity is true, then Galileo was wrong and the Church was right- absolute motion is not determinable via the procedures of physics, and so the question of absolute frame becomes a theological question. If Relativity is false (I believe it is), then Galileo was wrong and the Church was right because the Earth is demonstrated experimentally not to be in motion around the Sun, however much we might find it more reasonable that it ought to be. "However, when putting forth a comprehensible model of the solar system suggesting that the sun (the most massive object in the solar system) revolves around the earth (a relatively small object in comparison) while at the same time other objects that are far more massive than the earth yet far less massive then the sun all appear to also then rotate around the sun, it doesn't make a whole lot of sense, even if from an observer on earth this appears to hold true." >> Again. This is an argument from plausibility. Fine and dandy. You find it plausible that the Earth is nothing special, and ought to rotate the Sun just like the other planets do. Quite plausible, given your metaphysical assumption that the Earth is not special. An alternative metaphysics exists, which reports the Earth to be supremely special; in fact the first object created, and the location where the Son of God becomes Incarnate. This alternative metaphysics was the catholic world view for almost 1,700 years. Science has failed to falsify it. Recent observations are dramatically supportive of it. So, if you like, consider geocentrism a penny stock. It is a penny stock on one heckuva run just now, while the blue chip LCDM is in a ferocious and rapidly worsening bear market. "With regards to identifying common center of gravity between the sun & earth, it is true that the force of gravity is infinite in it's reach meaning that literally the entire universe is tugging us one way or another, making pinpointing an exact center of gravity exceedingly difficult or impossible." What this ignores is that the effects of gravity are exceedingly weak, even on a universal scale, when compared to objects in our immediate vicinity. >> Sorry. This assumes the correctness of our existing theories of gravity, which have been shown to be *drastically* wrong at scales larger than a stellar cluster- 99% wrong! It is quite plausible that our existing theory of gravity will be impossible to salvage by means of dark matter/ dark energy. In such a case the serviceability of that model at local scales will be completely irrelevant. The observations at local scales will be incorporated into whatever replaces our existing theory. But that which replaces our existing theory will have to also account for the monumental failures of our theory at large scales of the universe. Mach's Principle applies, unless and until physical experiment can either confirm or definitively rule out the possibility that Earth is indeed the absolute, motionless frame. "True, the far more massive suns gravity pulls on us on the surface of the earth, but we don't fall upwards because the effect of such a pull is so small it's effectively zero. Similarly, while we might be able to account for some of the more massive objects in our solar system when determining an earth/sun center of gravity, it'd be impossible to pinpoint this without knowing precisely where all the mass in the universe is in relation to us, however its overall pull is so small (again, effectively zero), we can simply ignore it and calculate such things to an absurdly high accuracy." >> Again. Our gravitational theories work OK on local scales, but they fall apart completely at larger scales. Perhaps there is dark matter/energy. Perhaps our theories are drastically wrong. At this point we do not know which is the case. "So Rick, what you're ultimately doing is using a quirky technical truth of relativity to justify what is simply an incomprehensible view of the solar system." >> To the contrary. I am pointing out that the quirks of Relativity impose upon its proponents the astonishing fact that they cannot disprove a geocentric model based on any physical observations whatsoever. The fact that this freaks people out is no more relevant than was the fact that we could spin on our axis without feeling it a similar freakout 500 years ago. The argument from personal incredulity has a very bad history when it comes to science. "You're using a technical truth about gravities infinite reach to obscure the fact that it's effects are so small for distant objects, it's effectively zero,"
>> You are asking me to accept a theory of gravity which has been shown to be drastically wrong on large scales, which is simply inadmissible as a matter of science. You may find it plausible that the Earth is nothing special, but that is a metaphysical, not a scientific, argument. I propose that Catholic metaphysics is superior, in that Earth is quite obviously a very special place, as to its attributes, its location, and its significance. Physics can accomodate either metaphysical assumption at this stage, although the *scientific* evidence is rapidly mounting in favor of the geocentric metaphysical world view. "and ignoring that the built in margin of error (which all such good science notes) in such calculations is so small a range that for all practical purposes it can be thought of as correct. I can't speak to your motives of doing so, though I suspect honest teaching is not one of them." >> Oh my. The knife comes out at last. You impugn my honesty, because you are ignorant of the very physics you trot out. That's a game changer, and will be kept in mind for future discussions. A strict geocentric model holds true in 0.000000000000000000000001% of the universe and that percentage falls every moment as the universe expands... a non-zero number to be sure... but effectively zero." >> The argument from probability is ludicrous, since the sample size of our universes is exactly ONE. Too bad, it was going well. From a point removed from both Earth and Sun, the observer would see both objects revolving around the place where the observer was. We aren't discussing how the earth and sun are moving in relation to the observer outside that system. In the context of this discussion we are discussing how the earth and sun appear to be moving with relation to each other. So in that context, you are incorrect. For the purposes of a comprehensible description of the solar dynamics of our star system and how the bodies within it move in relation to each other we can most certainly ignore the gravitational pull of the rest of the universe and suggesting otherwise shows a lack of understanding of the effect of distance when comparing different gravitational forces. True the gravitational force of the much more massive sun is greater than zero. However, the difference between the two is so many orders of magnitude different, we could effectively ignore the gravitational force of the sun on a person, and describe the gravitational effects of a person on earth to something like 16 decimal places of accuracy. The more precise a measurement we'd want or the longer projection of such things, we'd want to account for such additional variables. If your goal is to get you an answer for such things that is accurate for a infinite number of decimal places, then yes we'd need to account for the position of every bit of mass in the universe. This is neither possible nor necessary to formulate an understandable model of things. It is true that based on current measurements and models that we've been unable to account for the dark matter that holds galaxys together and the dark energy that's speeding up the expansion of the universe, yet neither of these two (if it turns out they do exist) are expected to have an effect on our present discussion. I'm fairly certain you're misrepresenting what Einstein has said, though again, someone with real scientific training can correct me if I'm wrong. What Einstein is suggesting is that due to the absence of an absolute reference frame, all frames are equally valid. It's not an either/or situation in that sense. Why it makes sense to not revert back to geocentric view is that a model where less massive objects orbit around more massive objects (or more specifically around a shared center of gravity) is more understandable and consistent when compared to observations of the rest of the universe. For instance, a geocentric model is incomprehensible when considering the observation of objects that very clearly do not orbit the earth in any meaningful sense. It's not a case of having a technicality to stand on in terms of correctness. It's offering a model that's needlessly and incredibly more complex than a much simpler version that treats our planet as nothing particularly special. This is not a metaphysical reason but a practical one. Modern physics has abandoned absolute frames, if not their very existence then our ability to recognize them as such making them effectively nonexistent anyway. The church is, of course, already an authority on many nonexistent things, so it's fair to place this back in their sphere. While special and general relativity are at best incomplete, suggesting they're false ignores 100 years of observations confirming their merits. Perhaps we'll come up with a better solution, but for the time being it might be prudent to operate with our presently best solution until sufficient evidence presents itself. Again. This is an argument from plausibility. Fine and dandy. You find it plausible that the Earth is nothing special, and ought to rotate the Sun just like the other planets do. I'm uncertain if you accidentally copied and pasted an incorrect portion of my previous post, but there was nothing in that portion that could be construed as a plausibility argument. There's a word for thinking you're the center of the universe, a universe which it's creator created just for you… it's arrogance, an arrogance which in my opinion crosses over into megalomania. Say what you will about your worldview, it does seem inconsistent with the humility of Christ. Agreed. No one is suggesting such things do not warrant further study and revision. Disagree. Newtons formulas weren't thrown out when Einstein gave us special & general relativity. It just happened that Newtons formulas break down at sufficiently high speeds or around sufficiently massive objects. In addition, it's conceivable if not likely that when describing gravitational effects on very small things (quantum gravity) and very large things (the large galactic clusters you speak of) that we'll have a model that adds to the one created by Newton, Einstein and everyone in-between, not one that trashes the whole thing. To the contrary. I am pointing out that the quirks of Relativity impose upon its proponents the astonishing fact that they cannot disprove a geocentric model based on any physical observations whatsoever. Again, you're misunderstand the complaint against geocentrism. The physics that we're both reference doesn't prove or disprove geocentrism. Aside from the astronomically low likelihood that that is the case, it's ultimately that the assumption of earth as an absolute frame of reference makes a model of the universe far more complicated then it needs to be. You might as well say you or your bowl of cereal is the absolute reference frame. I'm not the slightest big freaked out by this, though I am puzzled though why someone would prefer a ridiculously complex model of the universe, when a more simple one will do. You are asking me to accept a theory of gravity which has been shown to be drastically wrong on large scales, which is simply inadmissible as a matter of science. There's a difference between incomplete and incorrect. See bit 3 spots above for more information. That modern physics can accommodate both views doesn't give any reason to favor a view that is ultimately more complex, yet has no additional predictability or explanatory power. In this respect promoting geocentrism is bad science. You impugn my honesty, because you are ignorant of the very physics you trot out. OK. That's a game changer, and will be kept in mind for future discussions. Then accept my apology, given with the same sincerity as your teachings & subsequent outrage of my suggestion. You perpetually misunderstand. A strict geocentric model holds true in 0.000000000000000000000001% of the universe and that percentage falls every moment as the universe expands... a non-zero number to be sure... but effectively zero. Again, I haven't questioned the validity of the geocentric model at any point, nor do I do so here. Here, being that it appears valid only in an infinitesimally small percentage of space, a percentage that gets smaller as the universe gets bigger, that it doesn't seem like a smart foundation for a model of the universe. Labeling my mentioning of the eternally decreasing of an already absurdly small percentage of the universe where geocentrism is valid as a fallacious appeal to probability, ignores the scale of the percentage, but also ignores the fact that my point isn't to question geocentric validity, but to question the sense of modeling the universe after it. Finally, the fact that it's made in 1 universe have nothing to do with any point that I made. s:"For the purposes of a comprehensible description of the solar dynamics of our star system and how the bodies within it move in relation to each other we can most certainly ignore the gravitational pull of the rest of the universe"
>> This assertion is false as a matter of physics, since it requires us to ignore the existence of the mass of the rest of the universe. To do so is an engineering boot-strap, of course, but it is not a valid approach to a comprehensive physics. "...Thus we may return to Ptolemy's point of view of a 'motionless earth'...One has to show that the transformed metric can be regarded as produced according to Einstein's field equations, by distant rotating masses. This has been done by Thirring. He calculated a field due to a rotating, hollow, thick-walled sphere and proved that inside the cavity it behaved as though there were centrifugal and other inertial forces usually attributed to absolute space. Thus from Einstein's point of view, Ptolemy and Corpenicus are equally right." First, those "distant rotating masses" are exactly what you say we can safely ignore. This opinion of yours is directly refuted by the above citation. The solutions to Einstein's equations *require* that the very same gravitational and inertial effects you wish to attribute to the local interaction of solar system bodies, must *also*- indifferently!- be attributable to the effect of distant rotating masses. stanz: and suggesting otherwise shows a lack of understanding of the effect of distance when comparing different gravitational forces. >> To the contrary. It is instead your suggestion that is directly refuted by three of the world's most important physicists, all of whom made direct and original contributions to the development of the theory of relativity. I will pause here, in order to determine whether we are to proceed on the basis that once a point has been fairly established, you are prepared to acknowledge it as having been fairly established. Can we agree that your first assertion- that we can ignore the mass of the universe when considering the solar system- has been fairly and thoroughly refuted? If so, I think we might have a fruitful discussion. If not, I will simply proceed to answer the rest of your points and be done with this discussion. 1. "It is true that based on current measurements and models that we've been unable to account for the dark matter that holds galaxys together and the dark energy that's speeding up the expansion of the universe, yet neither of these two (if it turns out they do exist) are expected to have an effect on our present discussion." >> Hilarious. So, since your own proposed gravitational theory is wrong by 99% if we cannot find the dark matter/energy to bring it into accord with observations, you suggest that whether we find the missing 99% or not is not expected to have an effect on our discussion. May I say that physics is not likely to follow your opinion on this point. You are simply, drastically wrong. Go ask one of those "scientifically trained" folks to help you grasp just how drastically wrong you are. 2. "here's a word for thinking you're the center of the universe, a universe which it's creator created just for you… it's arrogance, an arrogance which in my opinion crosses over into megalomania. Say what you will about your worldview, it does seem inconsistent with the humility of Christ." I wish you well, and suggest you consider carefully the words of the physicists, and the words of the Holy Ghost in Scripture. You can ignore me henceforth; I shall certainly be ignoring you. Relativity has yet to fail any test thrown at it. That is not to say it's a complete description of things, but to dismiss it outright (which is puzzling as you seem to enjoy citing it when convenient to support your geocentric views) because the math gets weird in extreme circumstances is, in my opinion, premature. With regards to dark matter & dark energy, in terms of relativity somehow being broken, I feel this couldn't be further from the truth. Our understanding of things based on Einsteins works made it possible for us to even be aware of either of these two things which might have been otherwise impossible to detect. Ahhh yes, when all else fails let's cite scripture (genesis no less) to make up for the intellectual failing of your arguments. This is of course the last resort, an act of desperation on your part, and akin to throwing up a white flag. I fully acknowledge and accept your concession. That you would think I've suggested any sort of 'heliocentric absolutivity' shows you not only haven't been reading what I've been saying, but that you don't understand what Einstein is suggesting either. There is no greater validity in the view of the sun being the absolute stationary center of the universe than there is using the earth as such. With the absence of absolute reference frames all reference frames become valid in terms of describing motions of other bodies. However, whether we should we stick to geocentrism, heliocentrism, blackhole(s)-at-center-of-milky-way-centrism, etc. or none at all is dependent on what you're looking to describe and the ease by which you are looking to do so. That they're all valid from a certain POV's vs. the ease with which we can describe the universe are 2 separate things. This assertion is false as a matter of physics, since it requires us to ignore the existence of the mass of the rest of the universe. To do so is an engineering boot-strap, of course, but it is not a valid approach to a comprehensive physics. Again, you fail to read what I've suggested. I did not suggest a 'comprehensive' (all inclusive) understanding of the universe, but a 'comprehensible' (understandable) one. When putting together a model of a satellite in orbit (or the moon for that matter) it is more COMPREHENSIBLE to use the Earth as our starting point (yay geo-centrism). When putting together a model of our solar system, it is more COMPREHENSIBLE to use the sun as our starting point to describe the motion of the larger bodies. When putting together a model of our galaxy it is more COMPREHENSIBLE to use the blackholes at the center of our galaxy as our starting point. I'd say a fair rule of thumb is that it's best (in terms of being most simple) to describe the motion of bodies with respect to the body(ies) exerting the most gravitational force on it. You've shown yourself as an except 'copy & paster' of others quotes and are adept at taking them out of context, trying to apply them to this particular discussion, and ignoring the parts that are really most important. From the Max Born quote you posted "…thus from Einstein's point of view, Ptolemy and Corpenicus are equally right." "This opinion of yours is directly refuted by the above citation." Have you noted anything I've said? It is identical to Borns point. He doesn't refute my point. He echoes it. What about Einsteins quote? "Just as well". Read that again… "JUST AS WELL". He's assigning an equivalency of validity, as I have done, repeatedly. He's not advocating as you are or even suggesting for the validity of one to be considered more valid than another. Later on you suggest that my position has been "directly refuted by three of the world's most important physicists". I only counted (2) two, and they both SUPPORTED my point rather than refuted them, though I'm eager to see who the 3rd was as I always appreciate when someone else saves me the time and effort by bringing quotes that support the point's I'm making. Thanks!! I'm not, nor have I ever challenged the notion of the earth as the center of the universe on scientific grounds. So far as I know I can neither prove nor disprove that theory any more than you can. Relativity holds that viewpoint to be valid. What I can say, however, is that it's far more simple and understandable to describe the motion of Jupiter in relation to it's movement around the sun, than it is to describe it in relation to it's movement relative to Earth. It's far more simple and understandable to describe the motion of the moon Titan in relation to it's movement around Saturn, than it is to describe it in relation to it's movement relative to Earth. This is not a metaphysical stance, but a pragmatic one. Additionally, should we want to get the most accurate picture of the universe, we'd need to account for the most variables. That is not to suggest we need account for every variable to paint a sufficiently accurate picture of things. When making any sort of calculation in your life, you strive to gather the most information to make an informed decision. Were you to await EVERY variable to be 100% known, you'd be utterly impotent to do anything. Similarly, were we to account for every bit of matter in the universe to describe the motion of matter in our solar system, this would be an act of intellectual impotence. My view on this has not in any way been refuted. "That you would think I've suggested any sort of 'heliocentric absolutivity' shows you not only haven't been reading what I've been saying, but that you don't understand what Einstein is suggesting either." Well, I'm a little late adding onto this. For those who want to read something from more of a skeptic's viewpoint that doesn't paint the Catholic Church as totally anti-science concerning the Galileo trial, pick up Paul Kurtz's "Science and Religion: Are They Compatible?" The majority of the book had a very negative view towards religion; however, some chapters weren't so negative. The chapter by Timothy Moy entitled "The Galileo Affair" (just google Timothy Moy Galileo Affair and you should be able to read the chapter for free) was pretty good. It does add some things to what has been posted within this article. within the sun's magnetic domain. The Church is very careful to establish Facts, once established it is from an infallible institution. Were there some heavy wine drinkers at Jesus wedding reception?.. An excellent multi article on the Galileo myth can be found here.